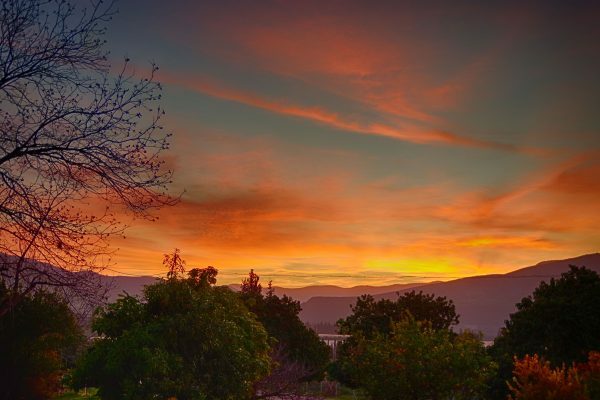 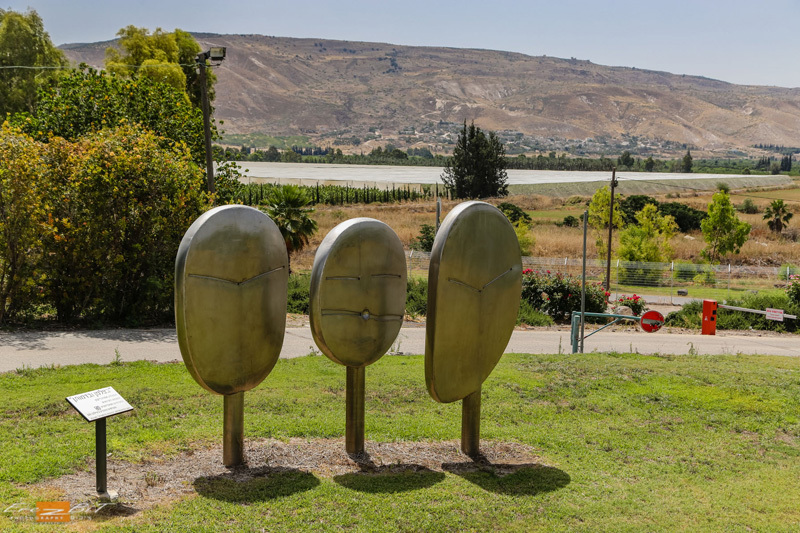 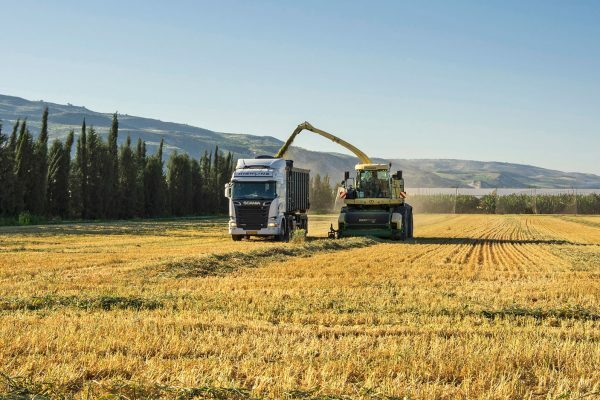 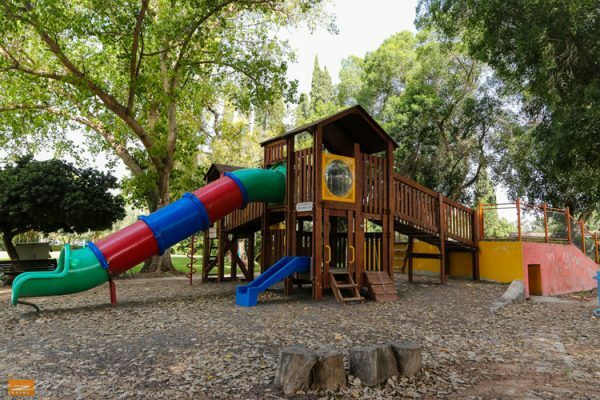 The site is located on kibbutz Shaar Hagolan, overlooking the Gilad mountains and the Golan heights; 500 meters from the Yarmuk river and the Jordanian border, 5 minutes drive from the "Yardenit" baptism site, 10 minutes drive from the Sea of Galilee and 15 minutes drive from Hamat- Gader Hot springs. 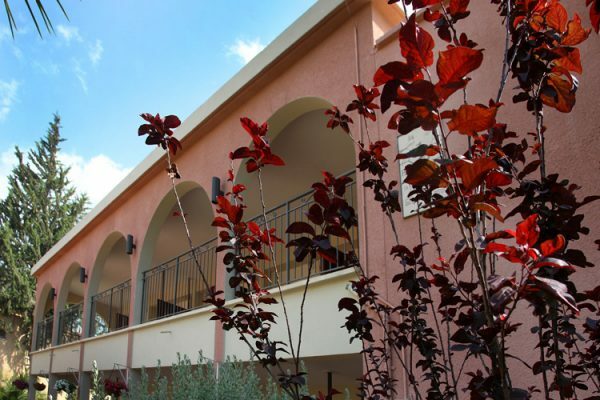 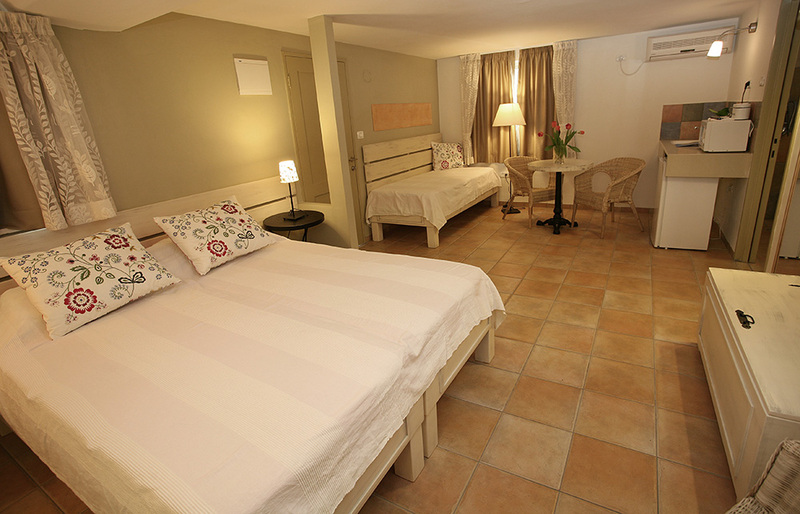 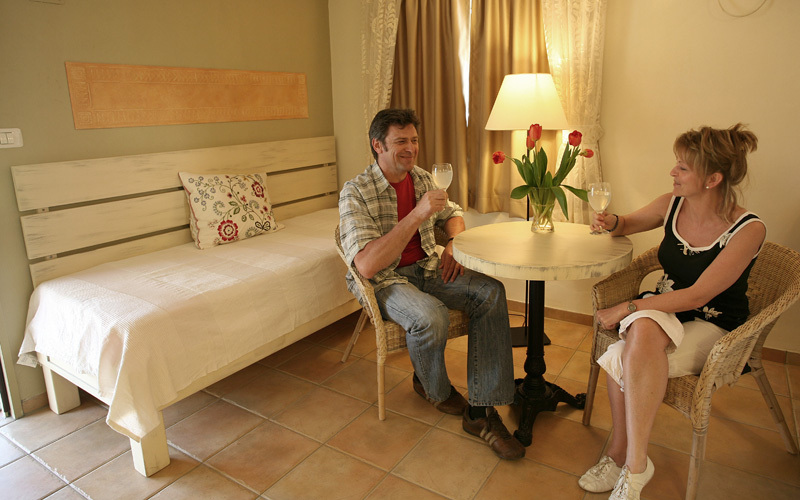 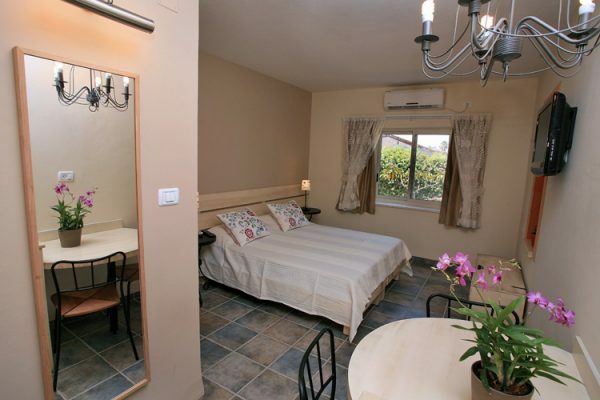 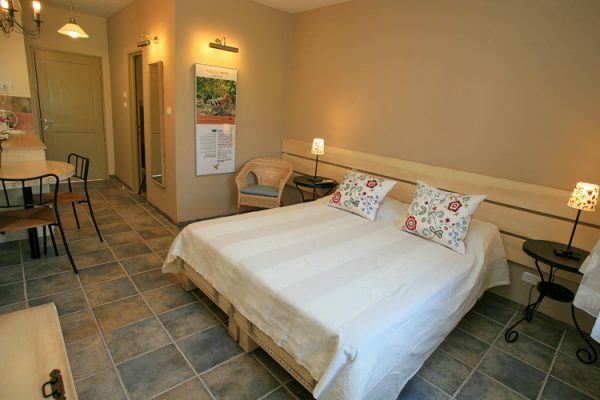 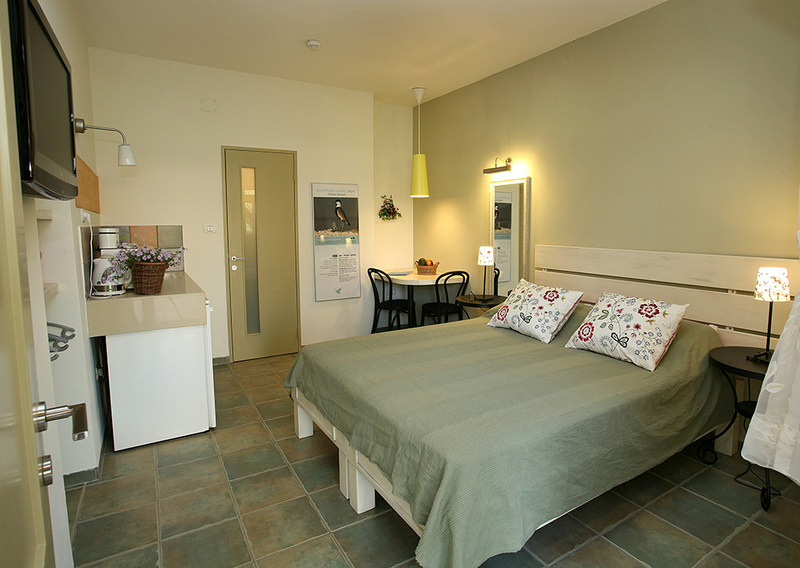 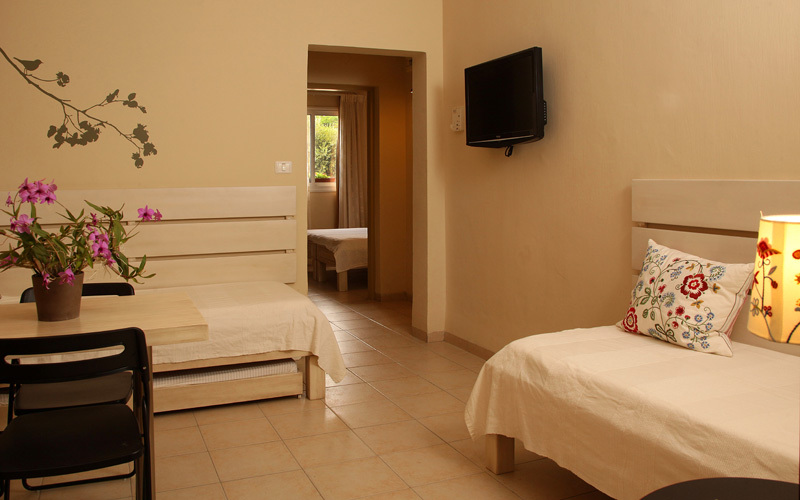 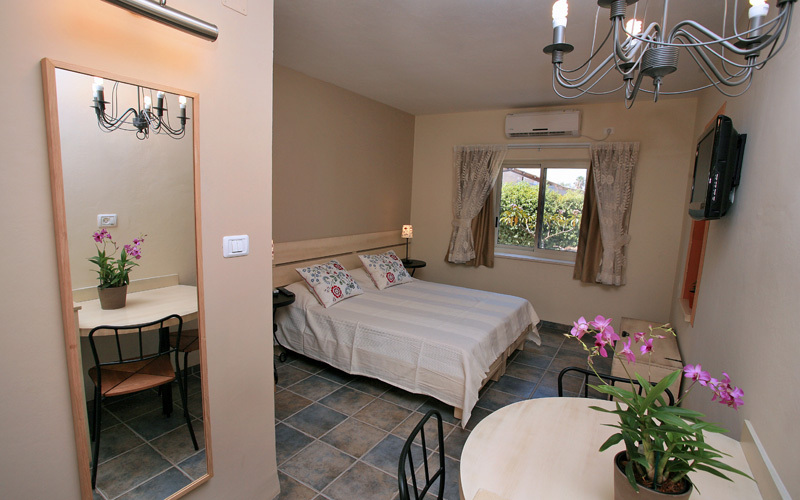 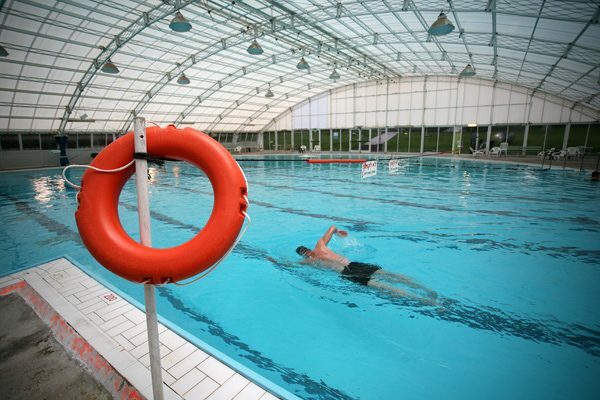 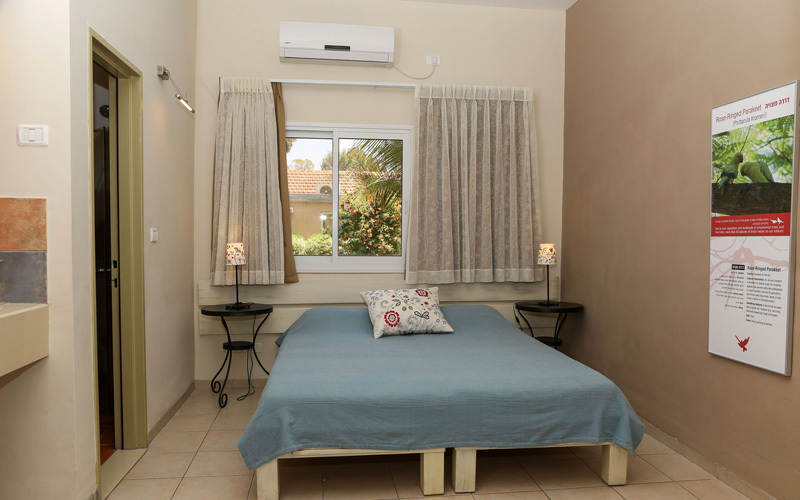 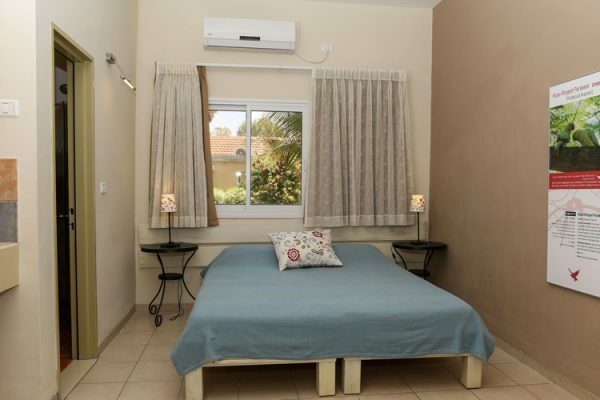 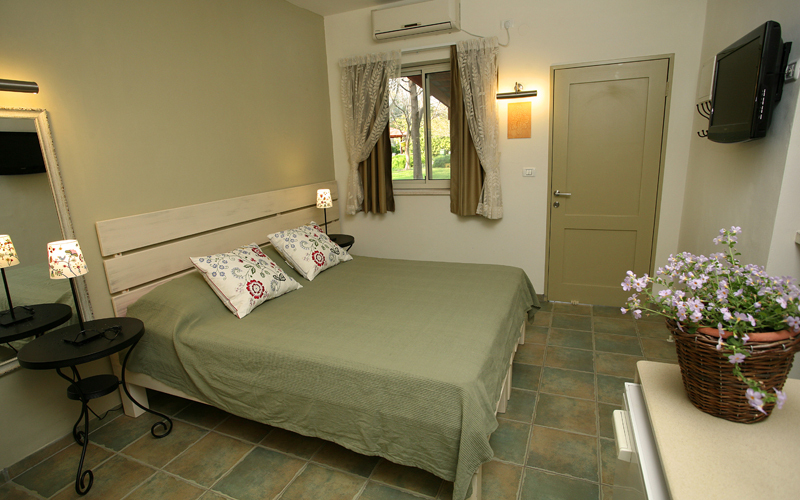 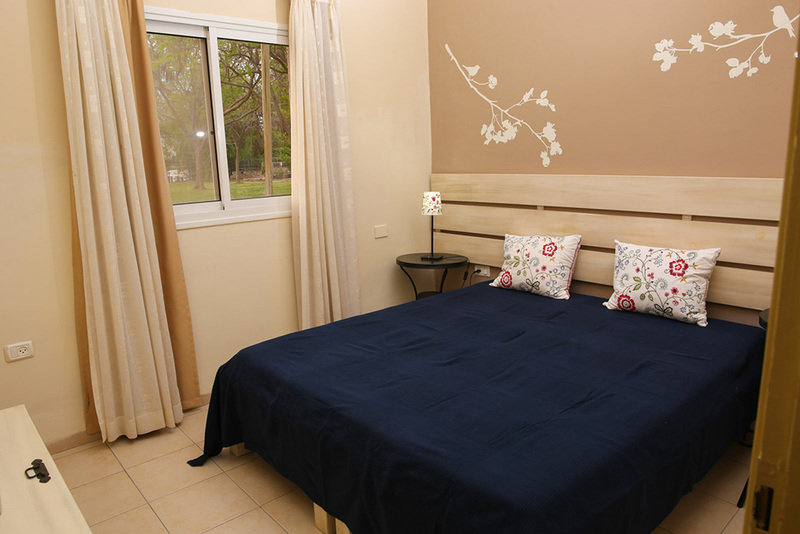 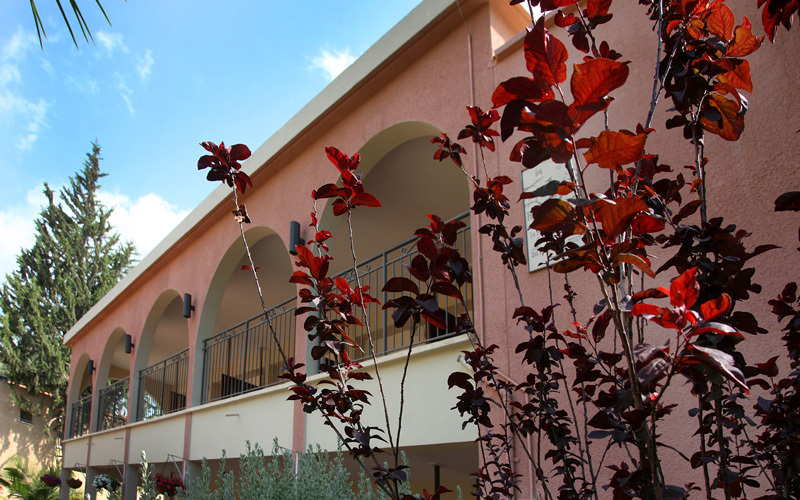 All rooms are just steps away from the swimming pool, the museum, the dining room and the minimarket. 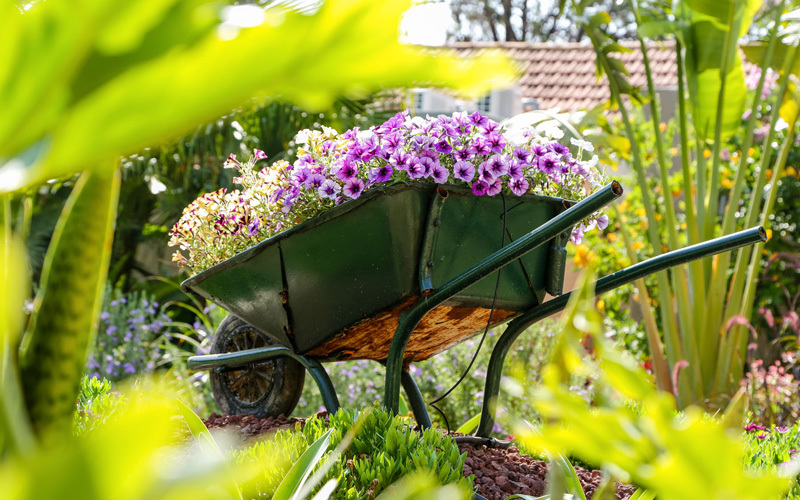 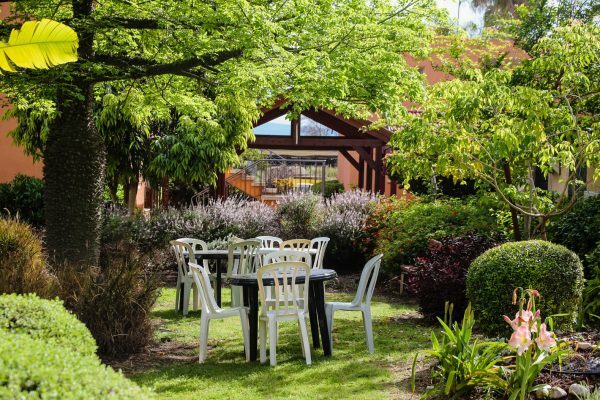 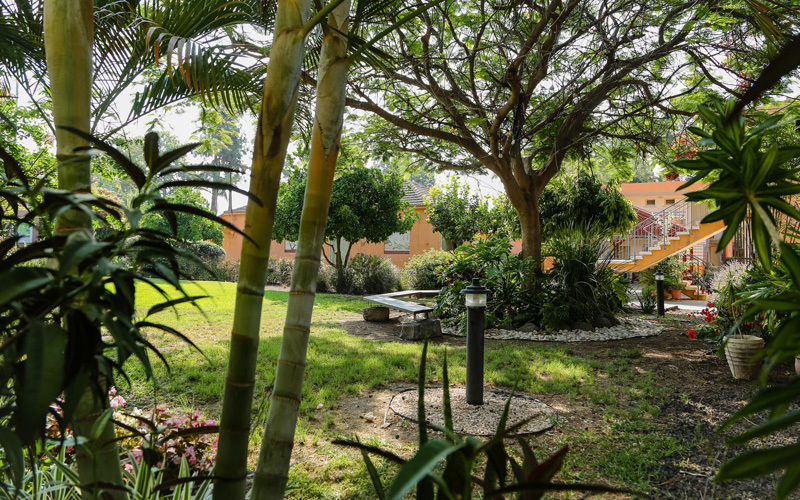 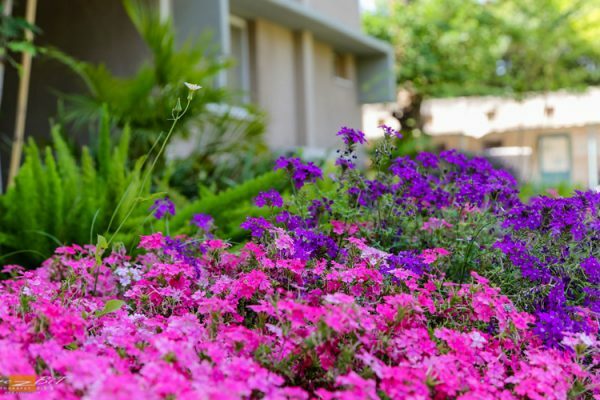 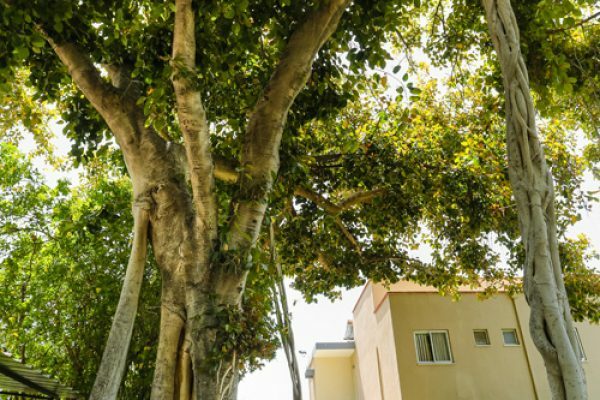 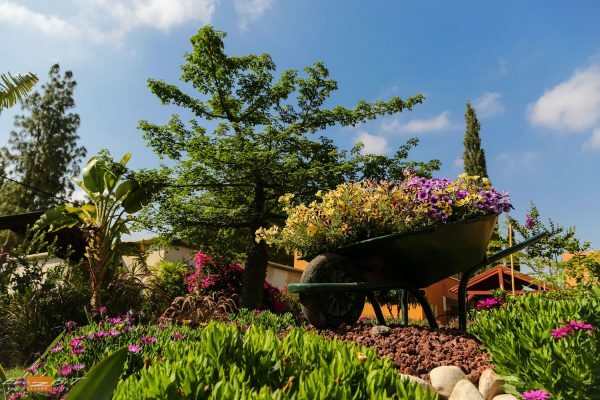 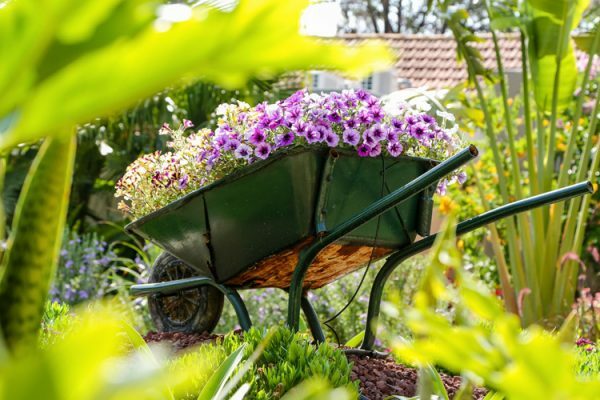 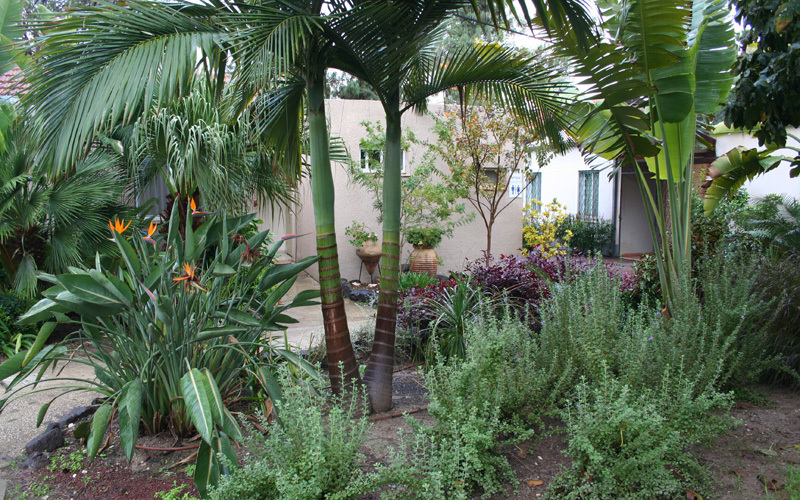 Thanks to our creative gardening team – our site is surrounded by trees, flowers and greenery. 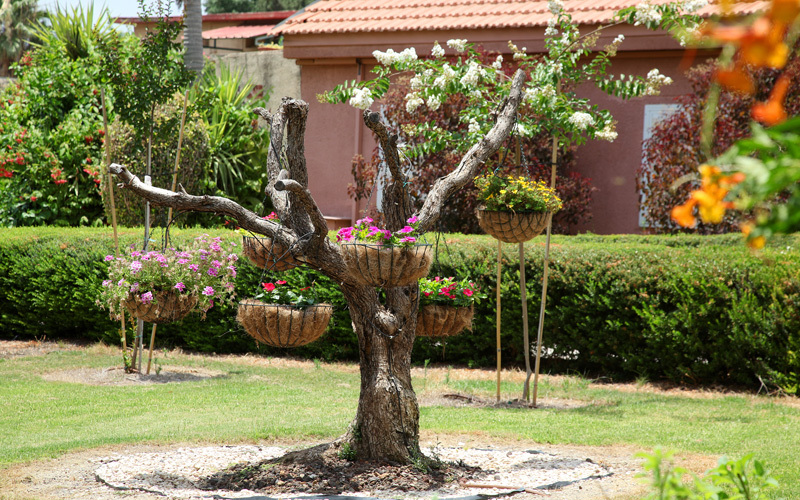 The sound of birds is music to our ears, the honeydew of the flowers feeds butterflies and birds; jaybirds, hoopoes and honey- suckles visit us daily. 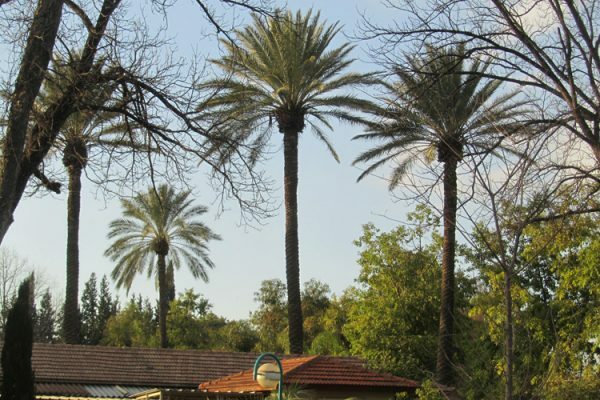 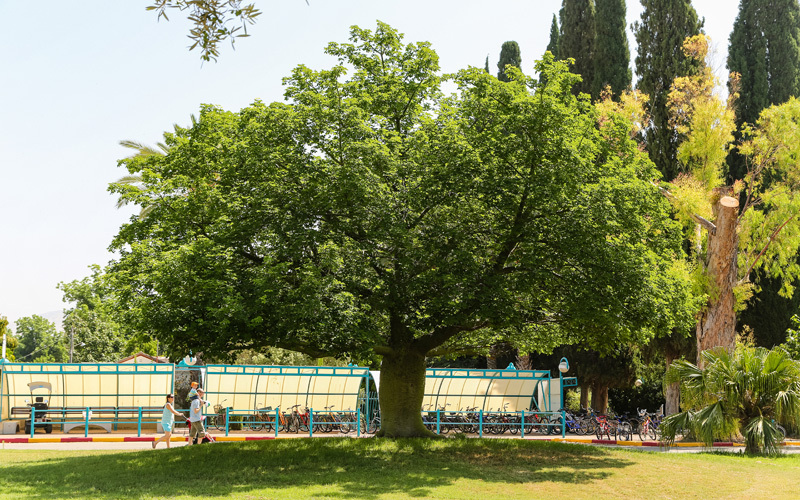 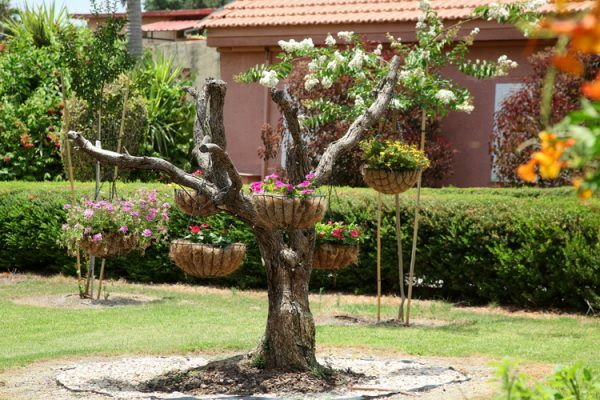 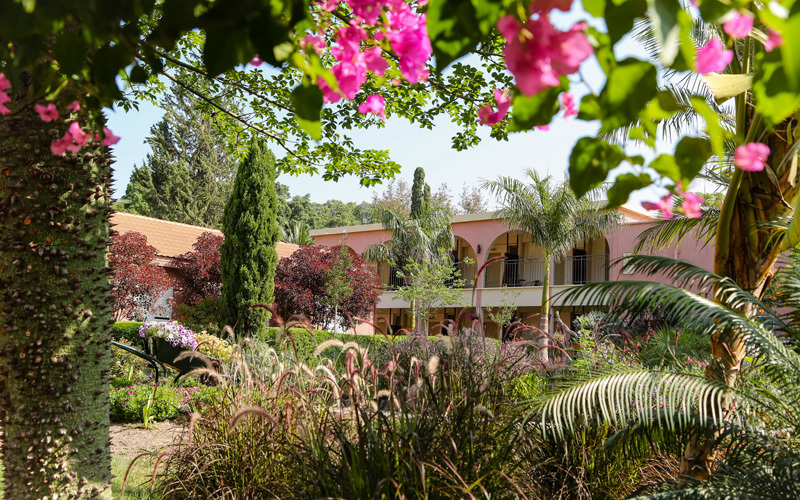 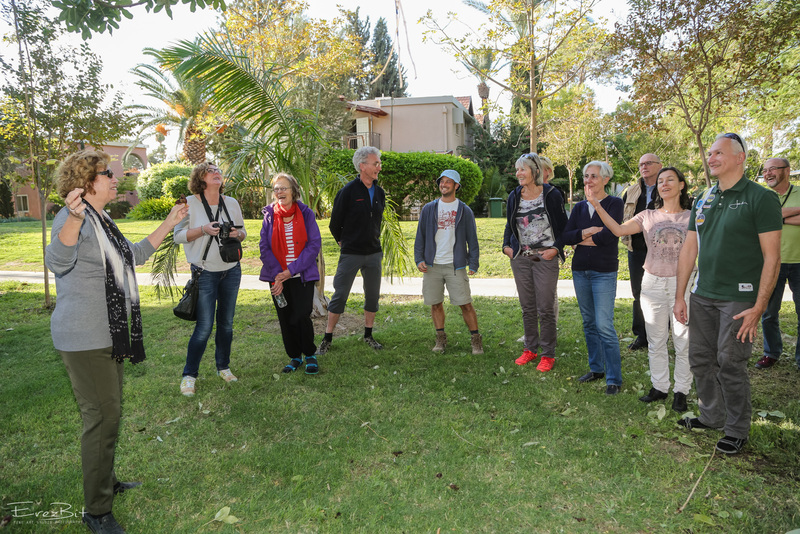 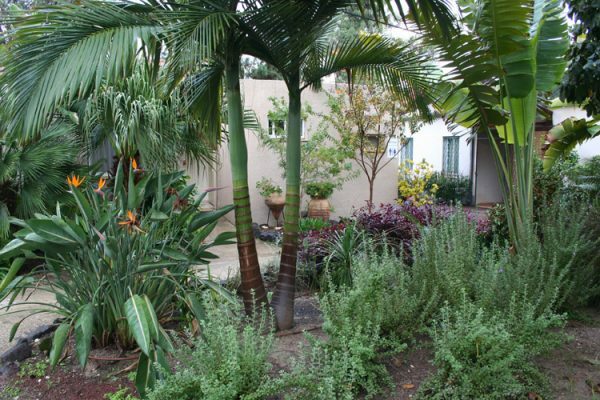 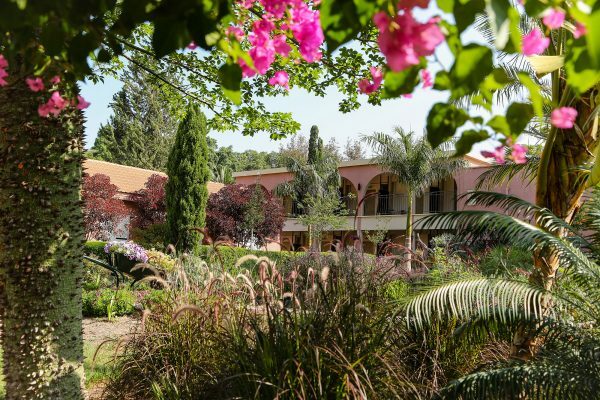 The kibbutz itself is like one great botanical garden, decorated with tall, unique species of trees from all over the world. 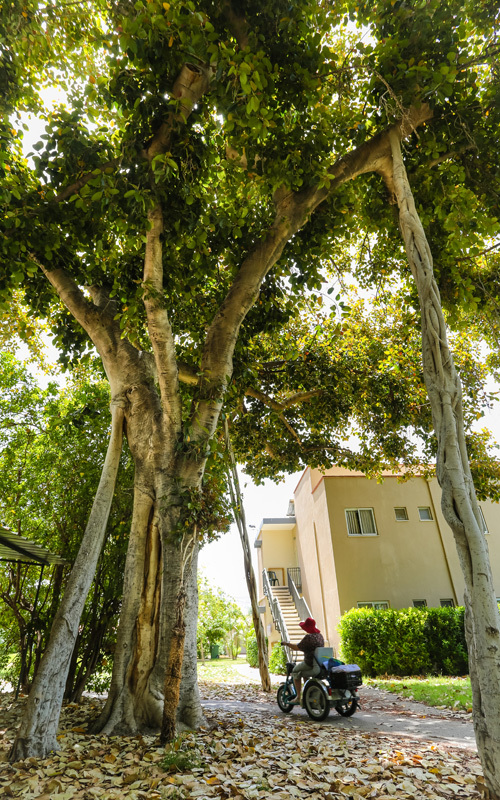 Thanks to the trees we have over 50 types of birds nesting here. 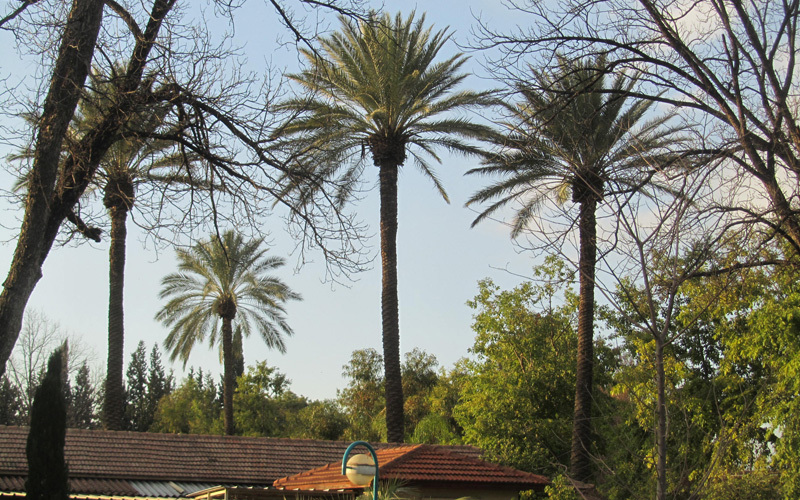 A map of the kibbutz for a self-guided tour, including explanation points about kibbutz life. 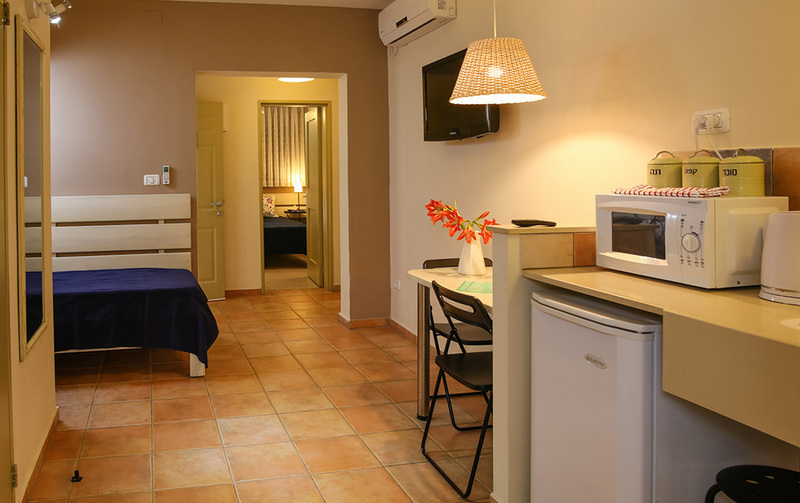 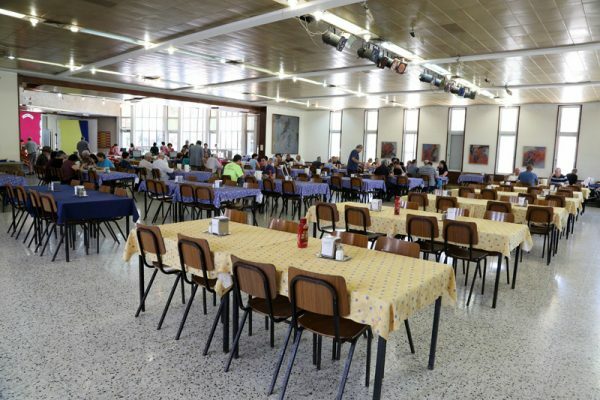 There are no dishes, except for coffee cups, cooking in the rooms is prohibited. 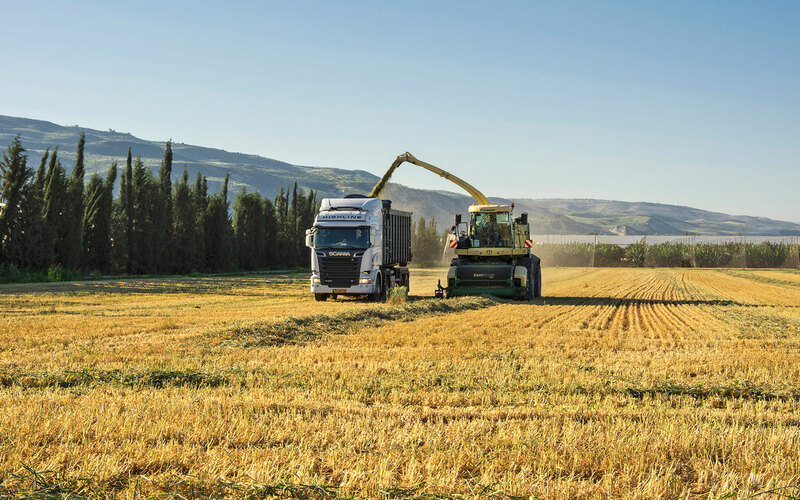 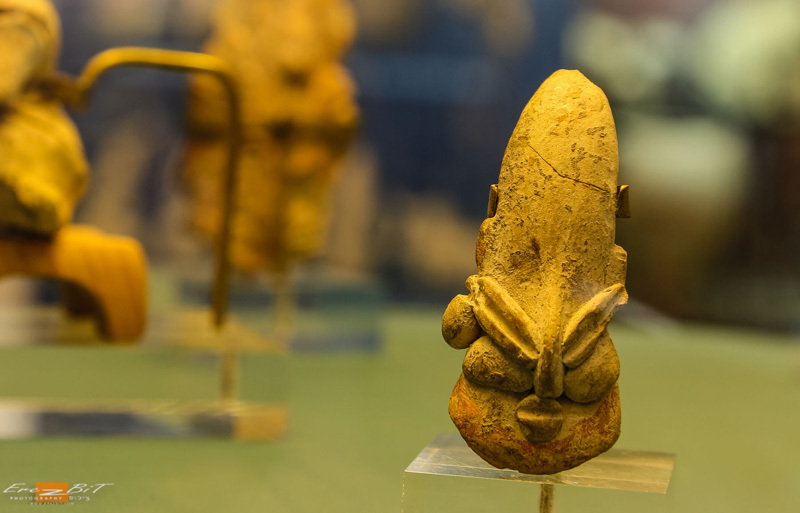 On the guided tour you will hear the story of an ancient culture, found in our fields. The Neolithic culture is 8000 years old- the era of the very beginning of agriculture. 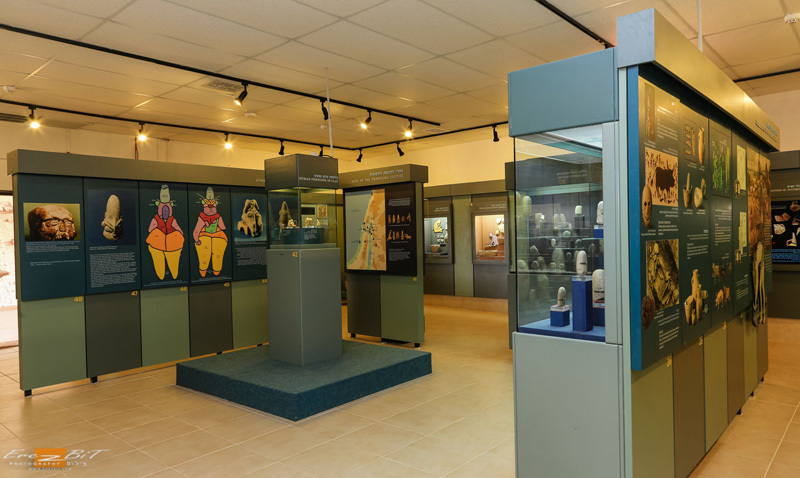 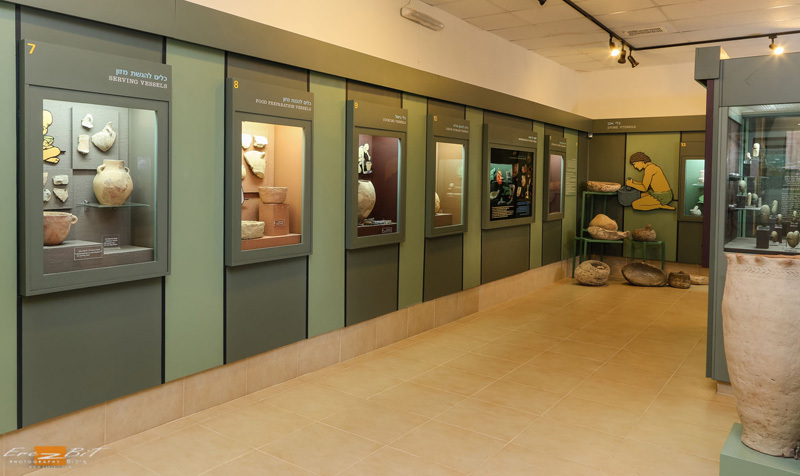 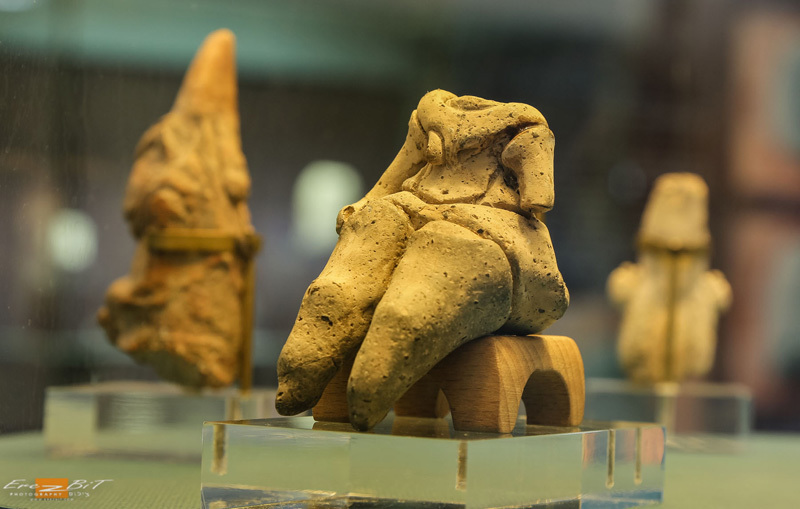 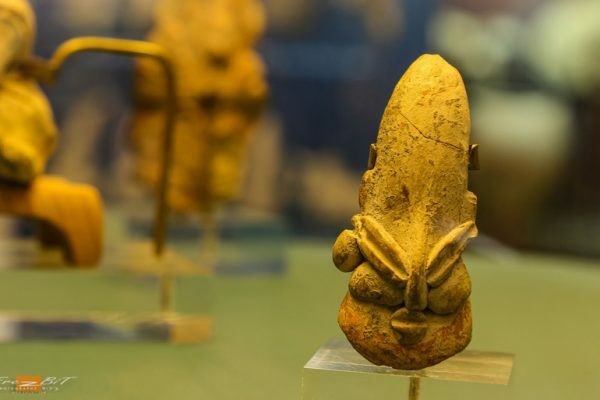 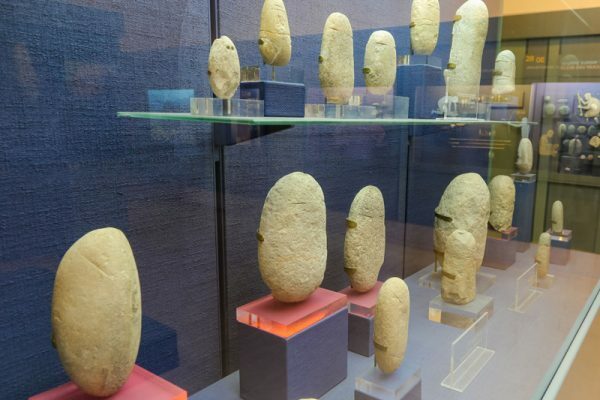 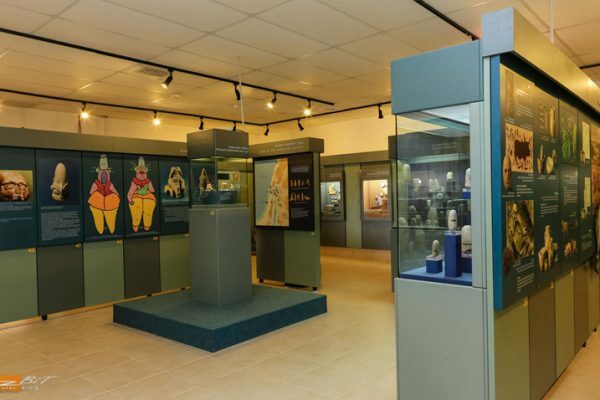 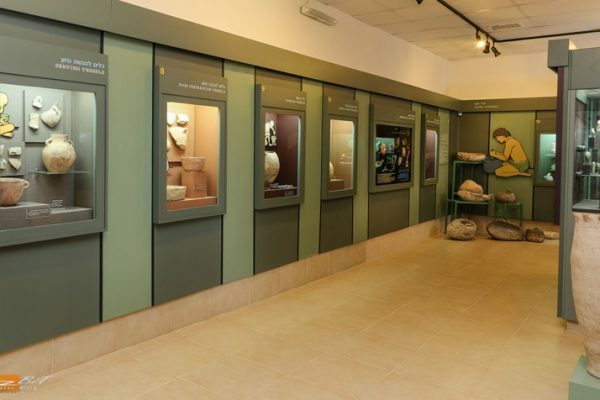 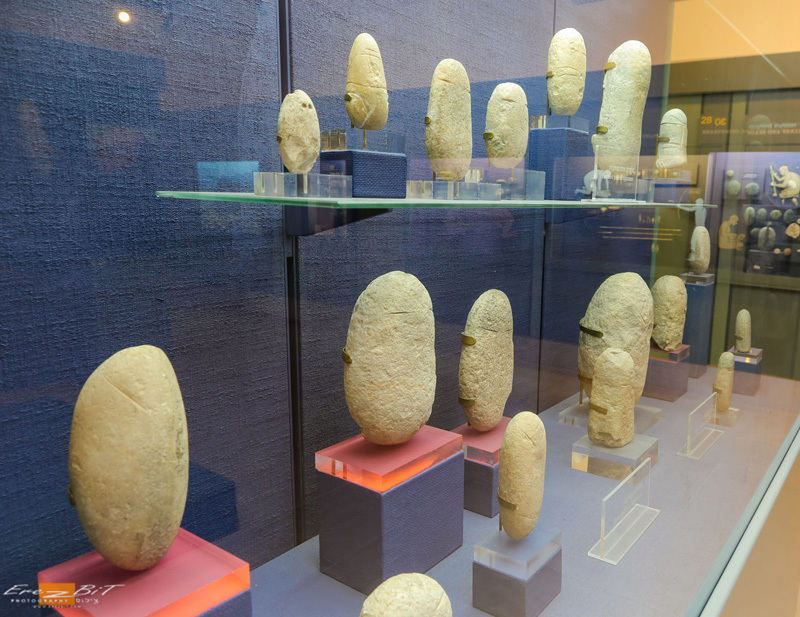 The museum displays archeological findings: various types of stone tools, clay utensils and Fertility figurines. 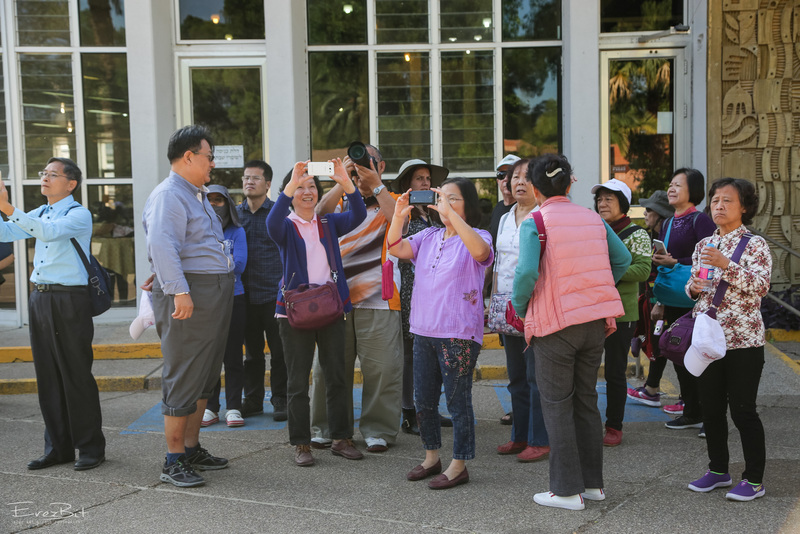 A humorous video for all the family is included, demonstrating life in that special culture. 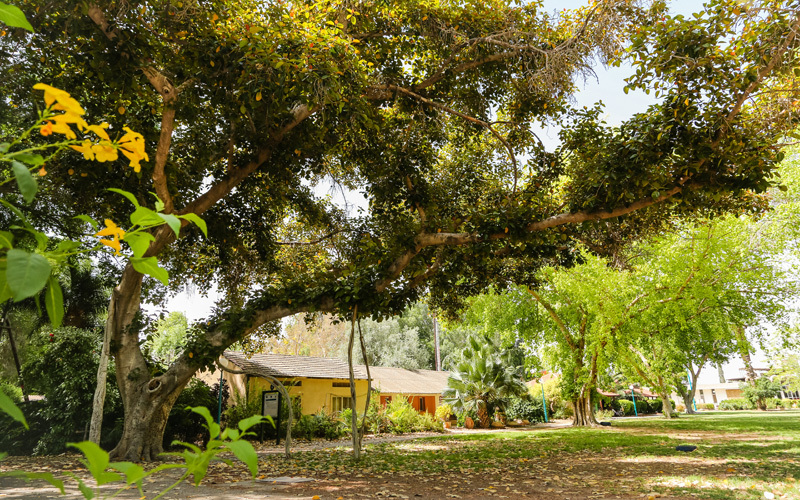 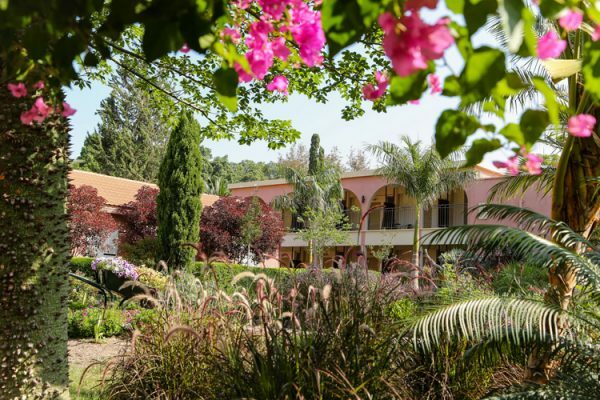 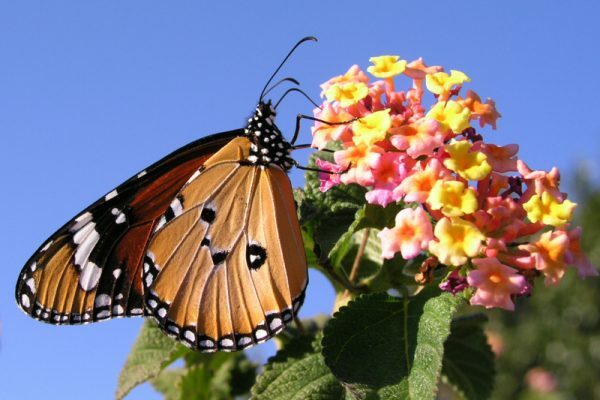 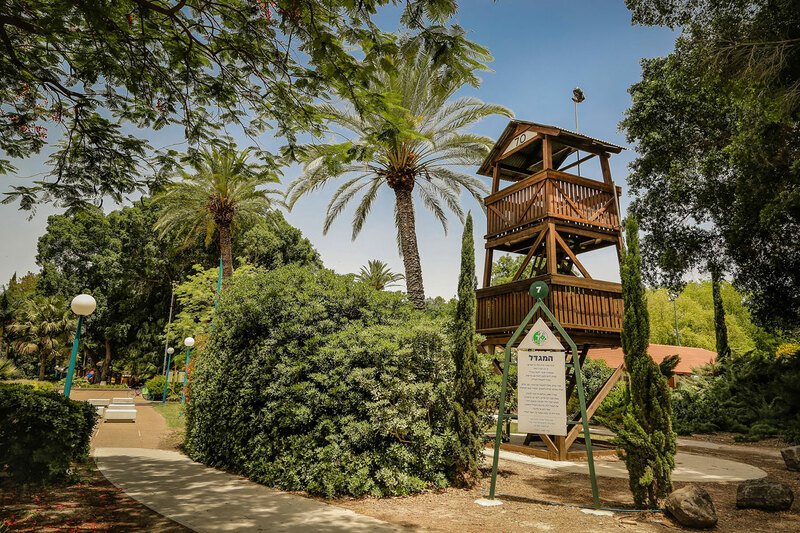 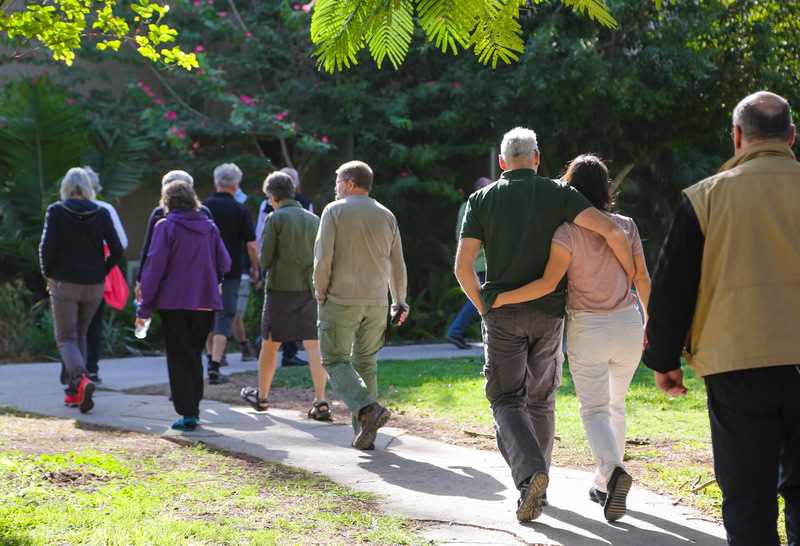 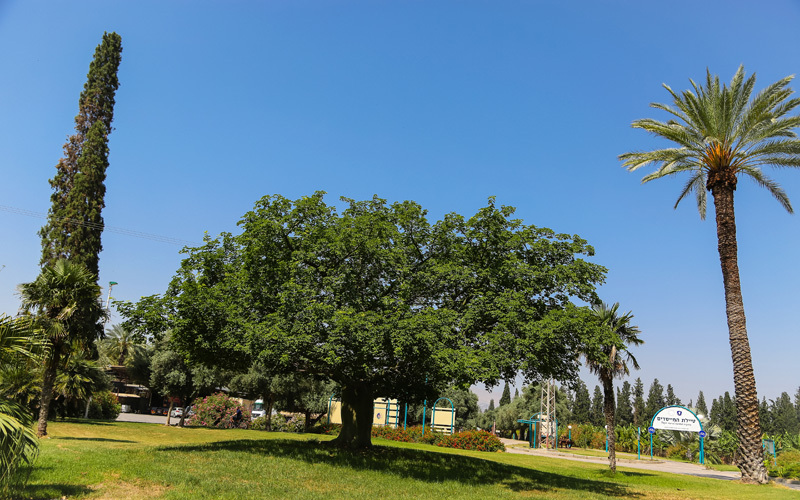 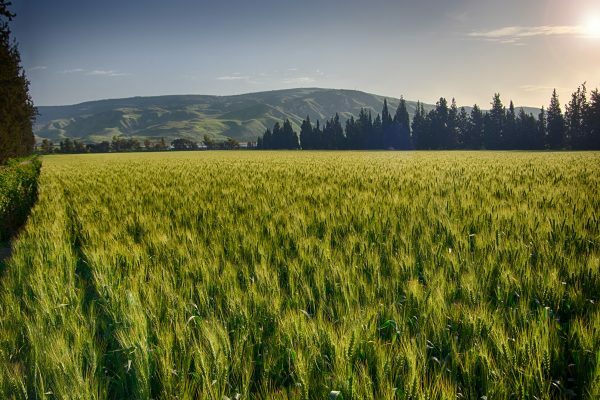 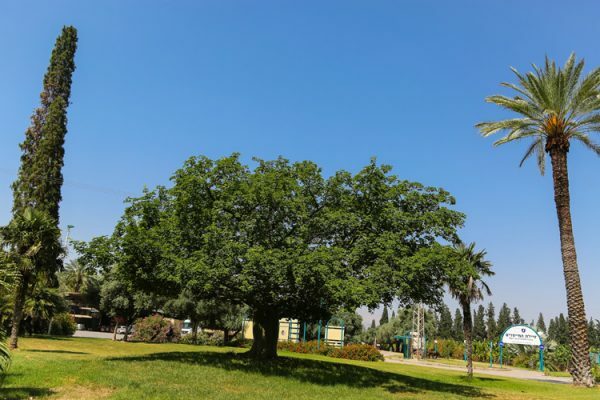 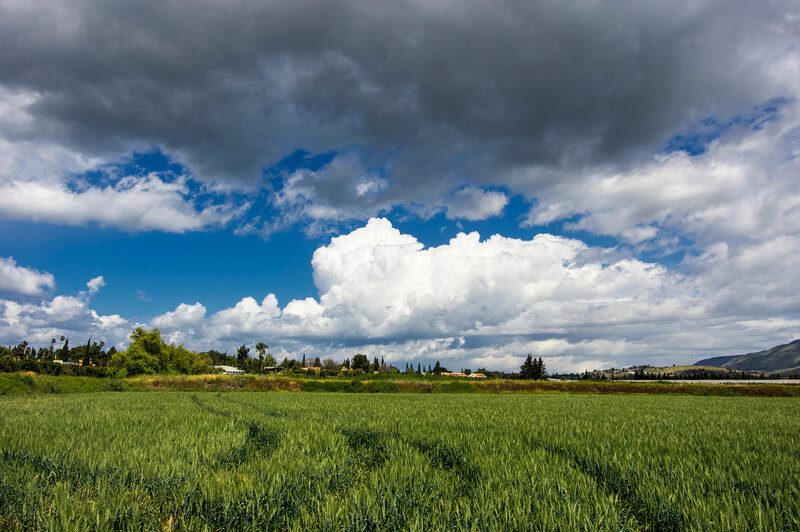 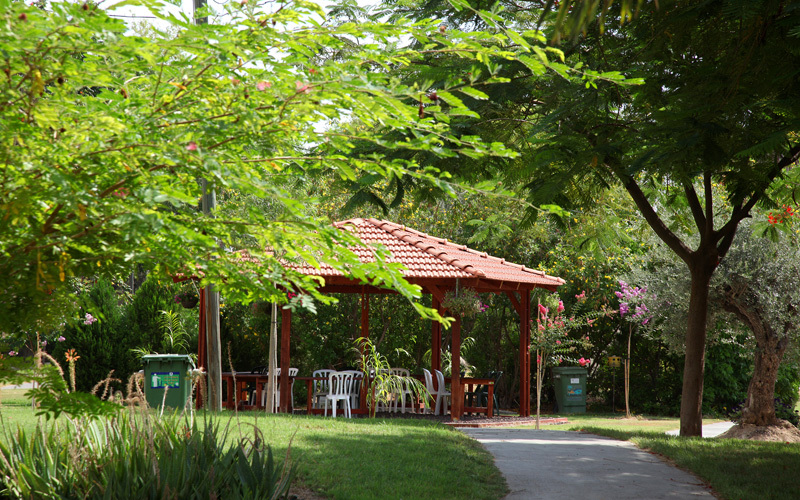 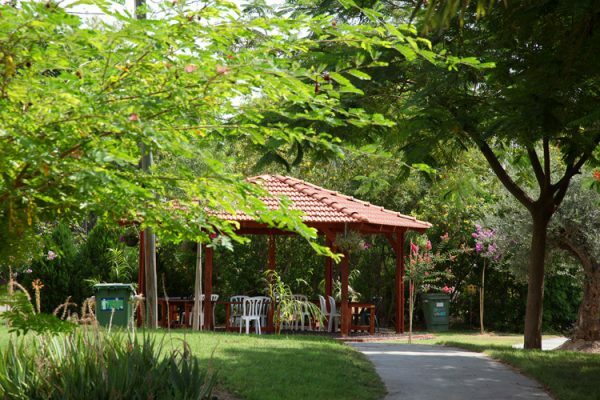 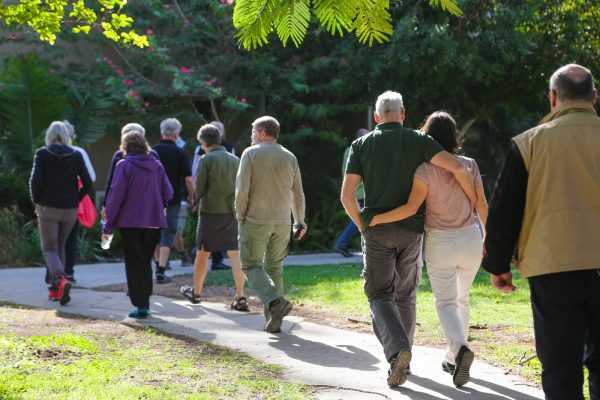 Take a leisurely one hour walk among the beautiful green scenery of the kibbutz. 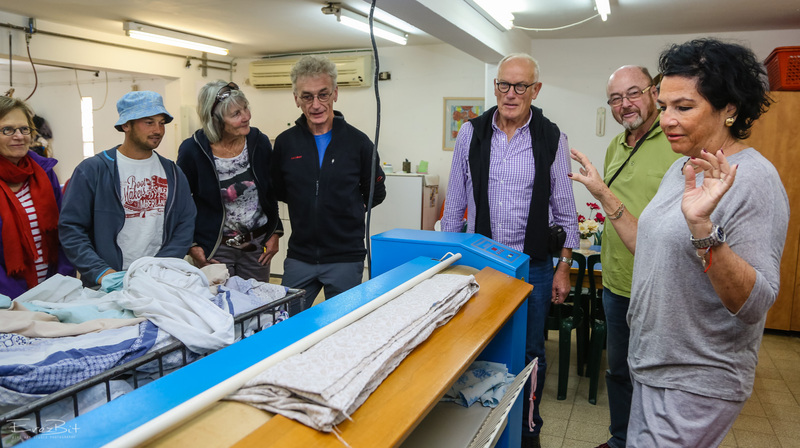 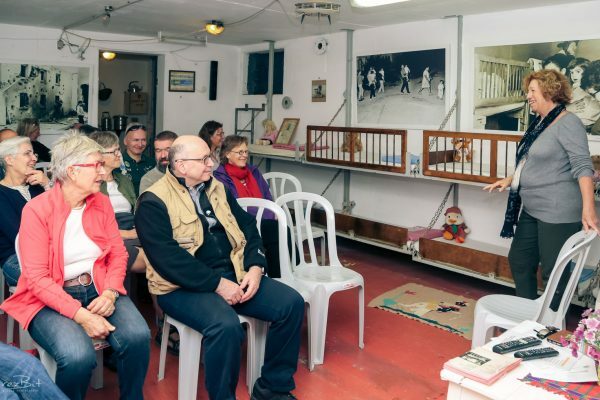 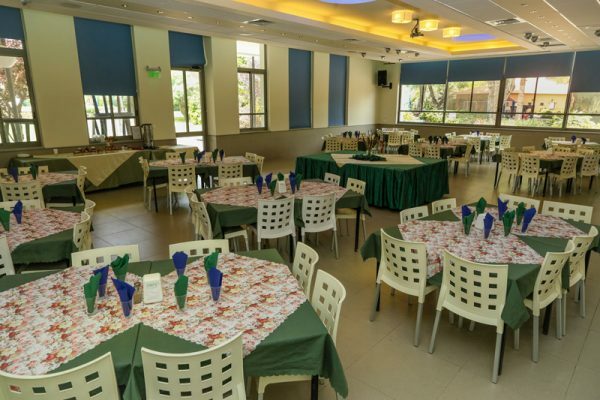 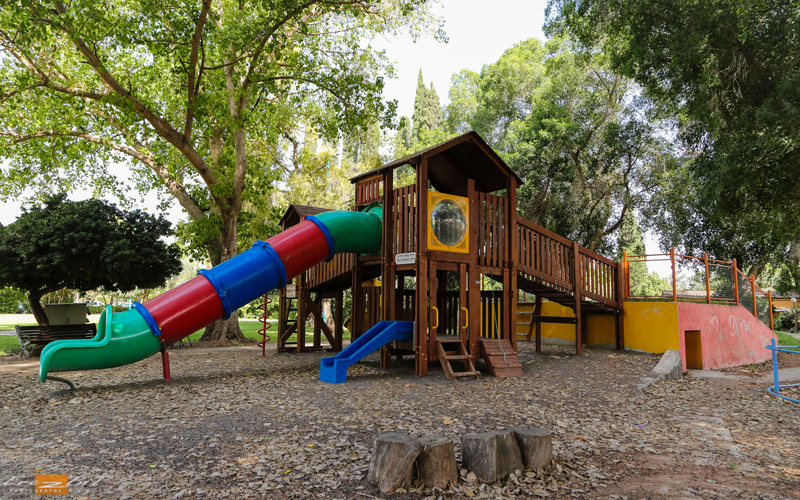 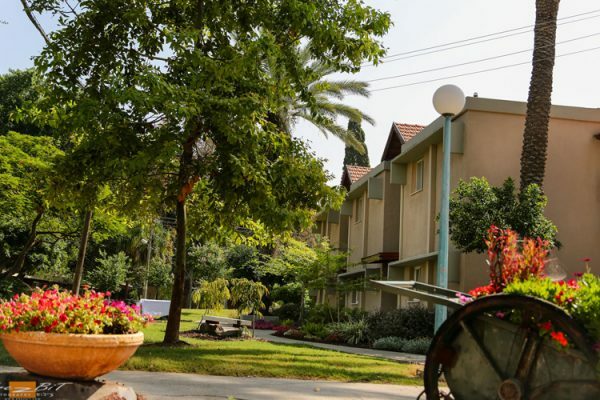 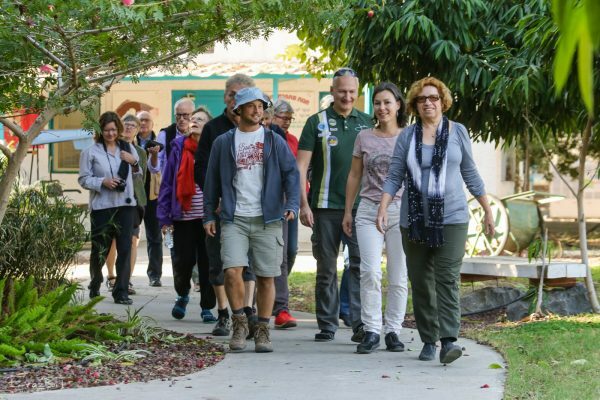 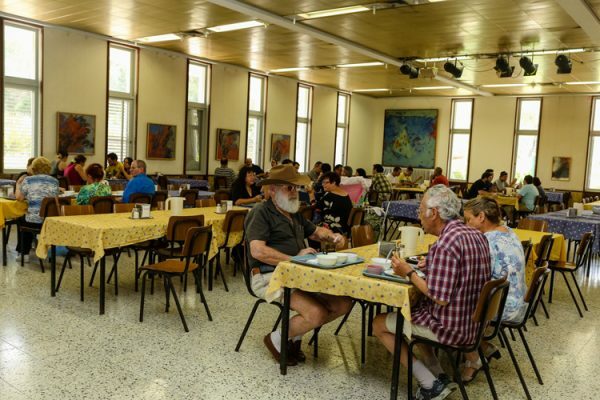 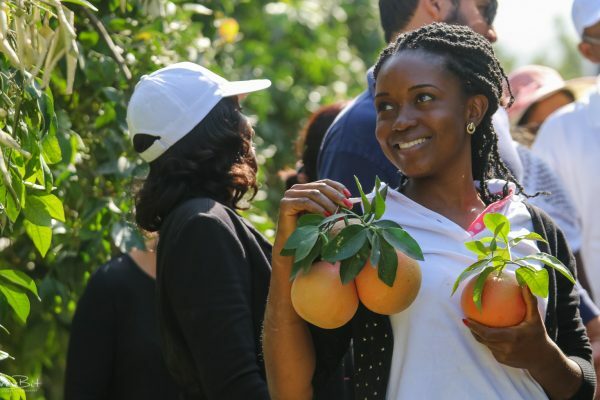 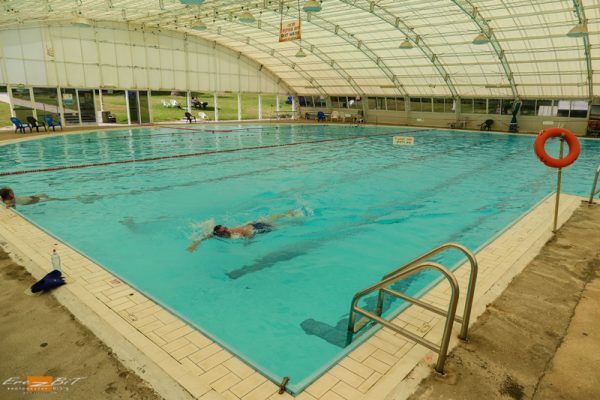 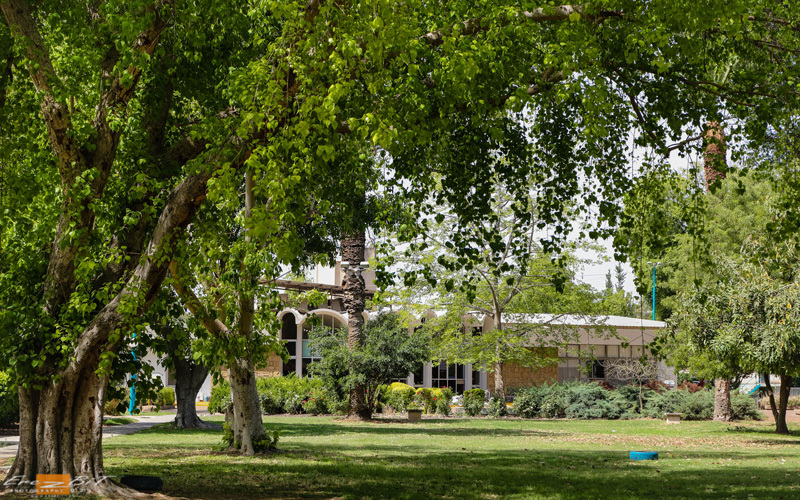 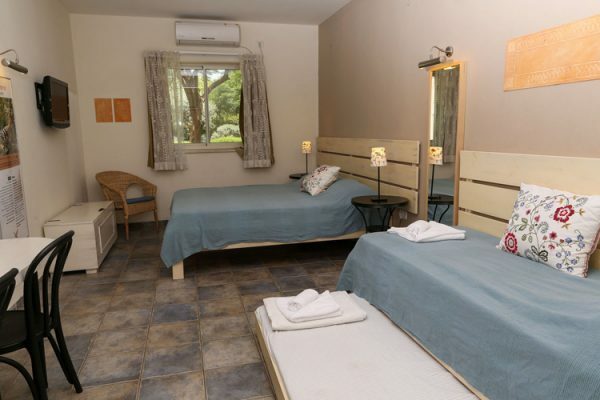 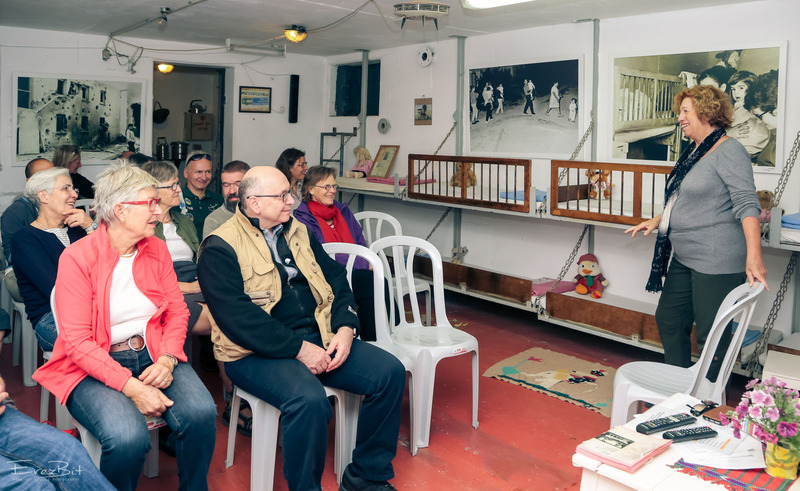 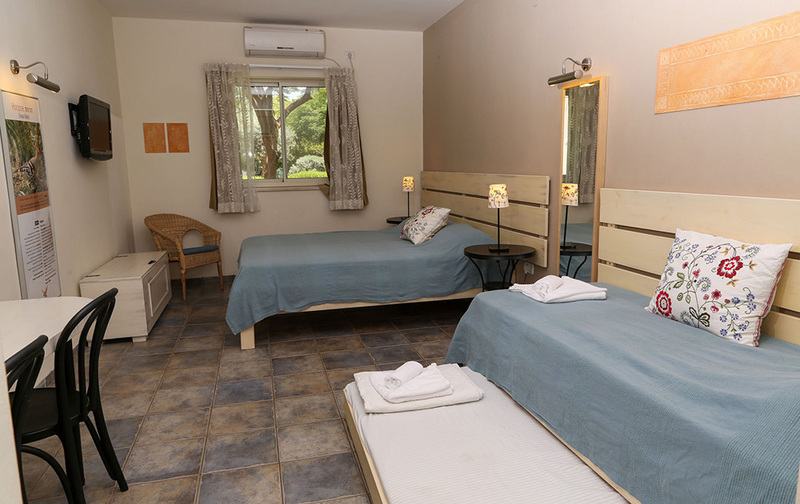 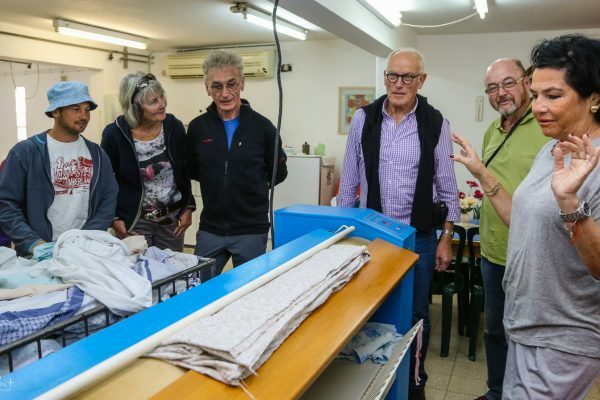 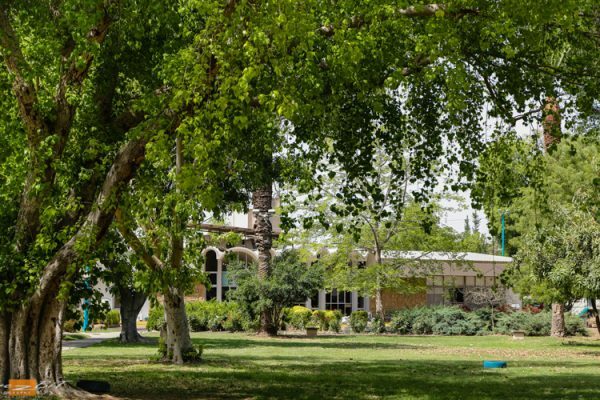 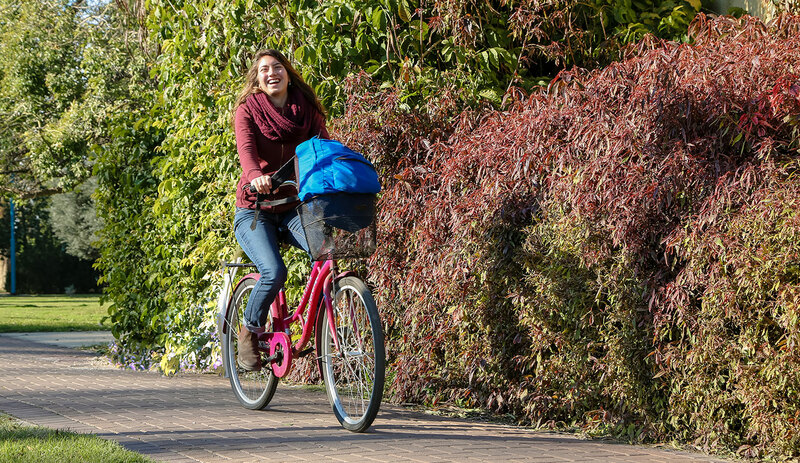 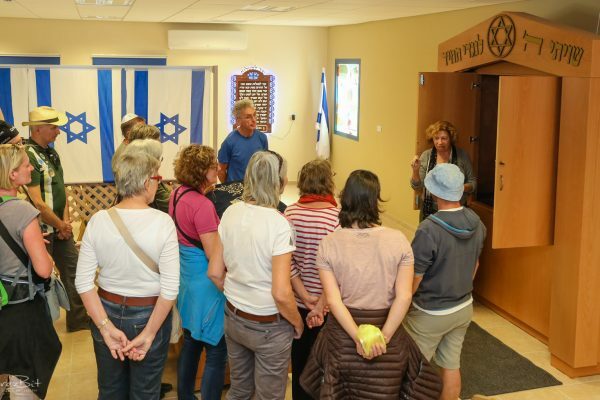 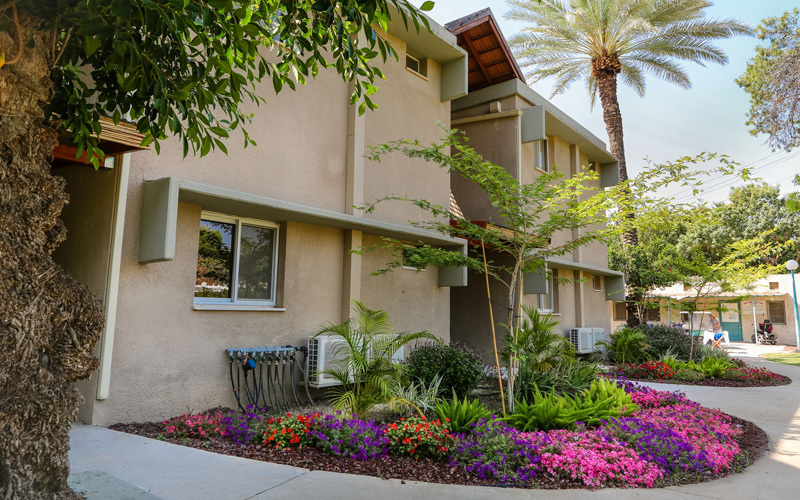 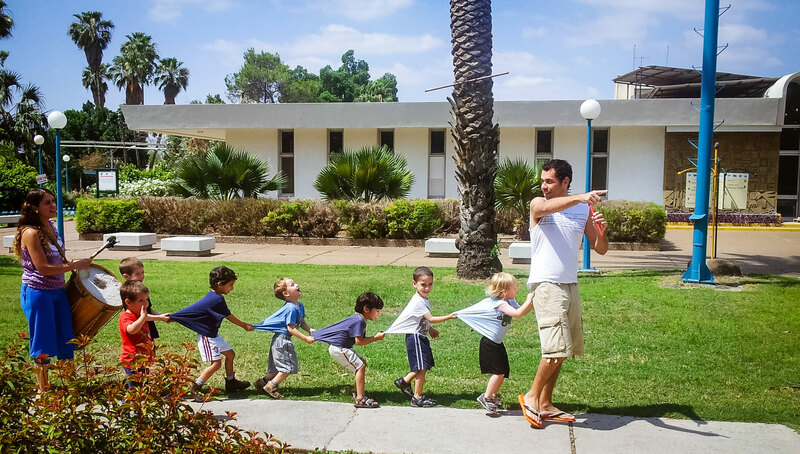 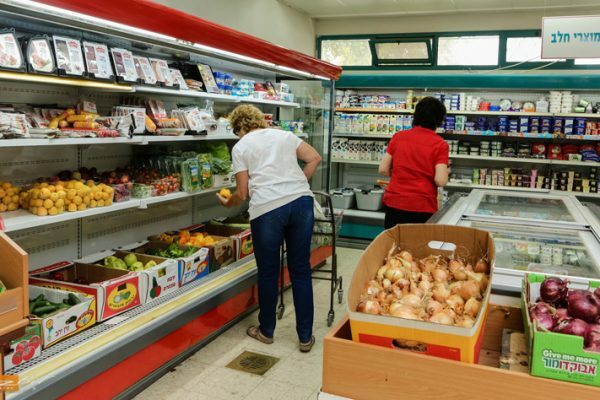 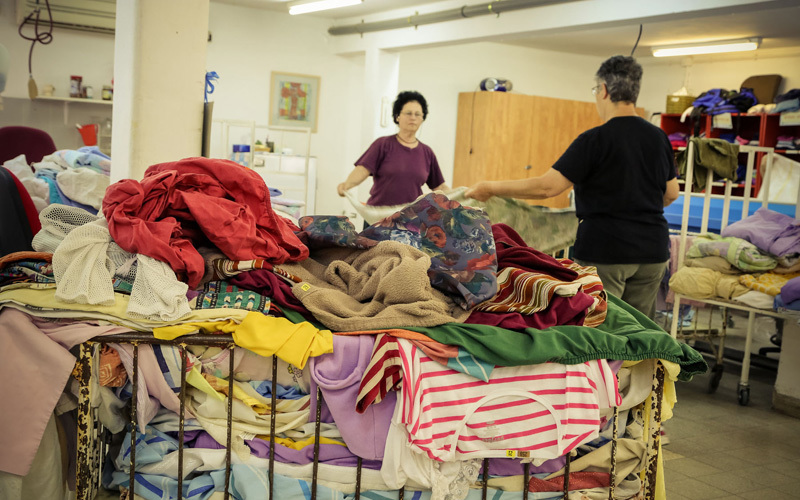 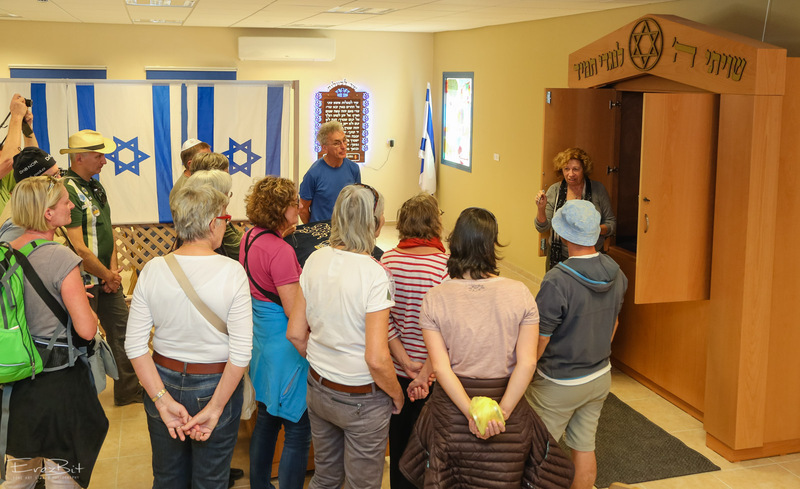 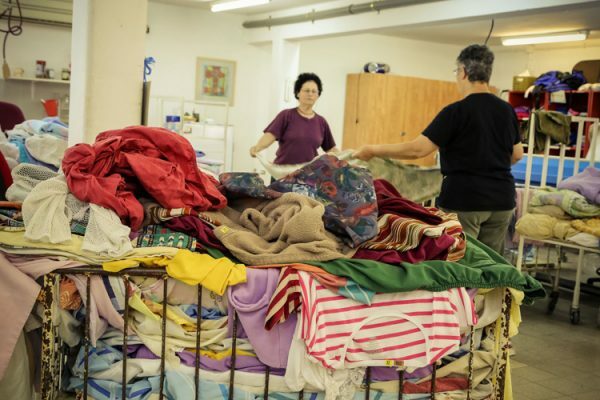 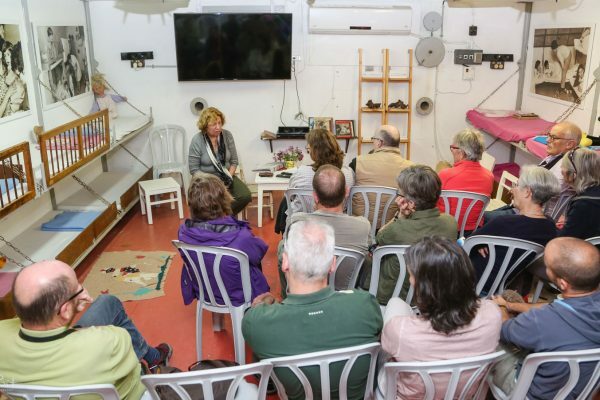 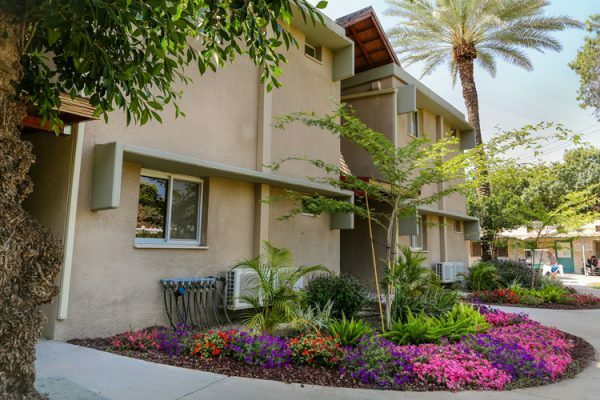 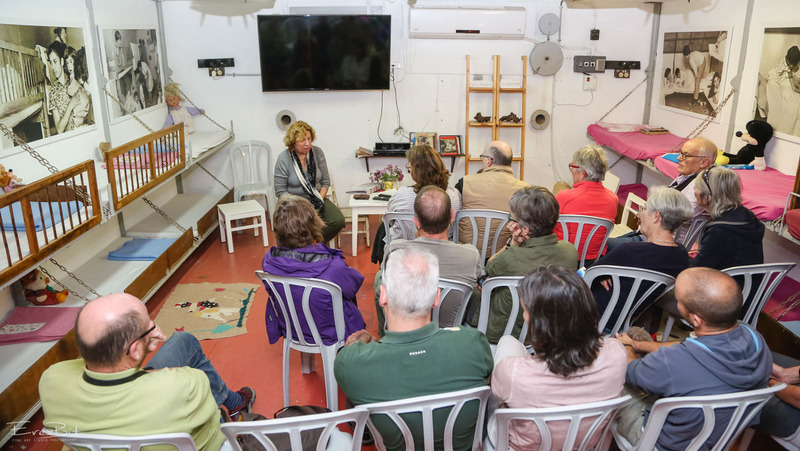 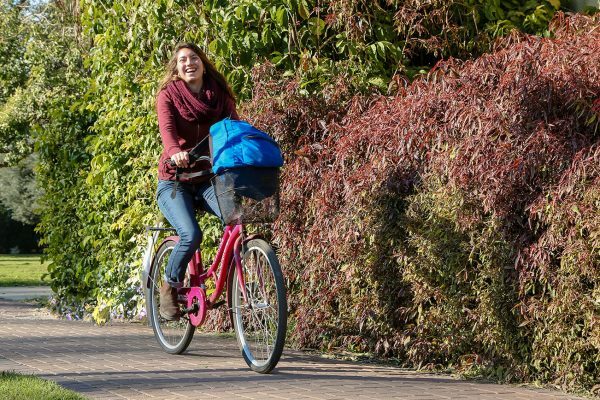 While touring the kibbutz you will be able to see the famous clothes warehouse, the dining hall, the main bulletin board and the kids’ dorms, gain some understanding of the kibbutz’s organizational structure and learn about the benefits of living in a real kibbutz, as well as the shortcomings of this life style. 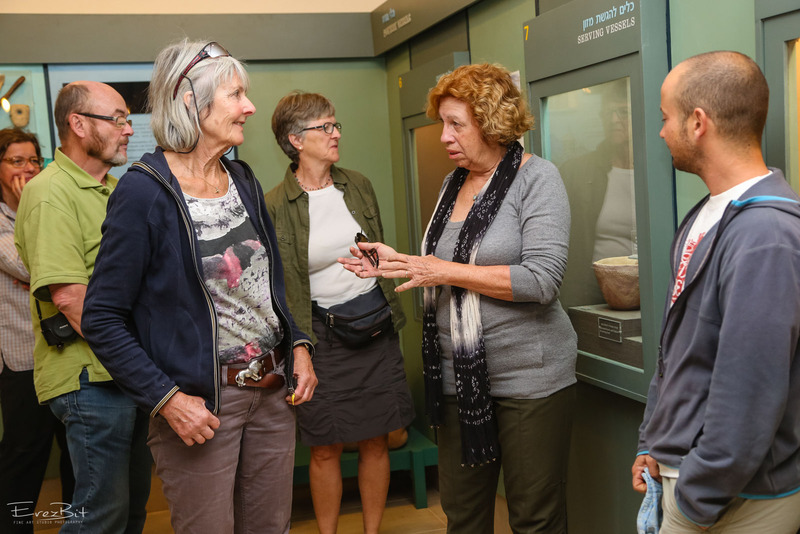 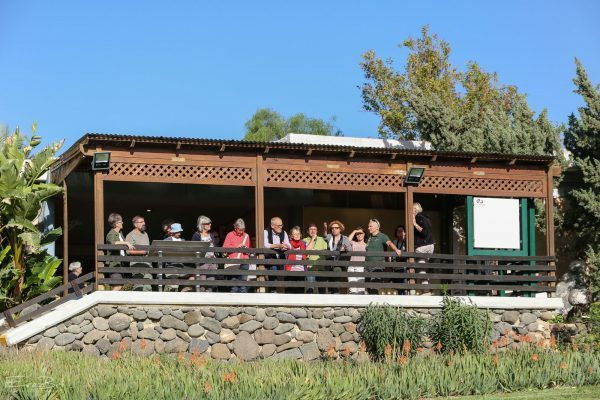 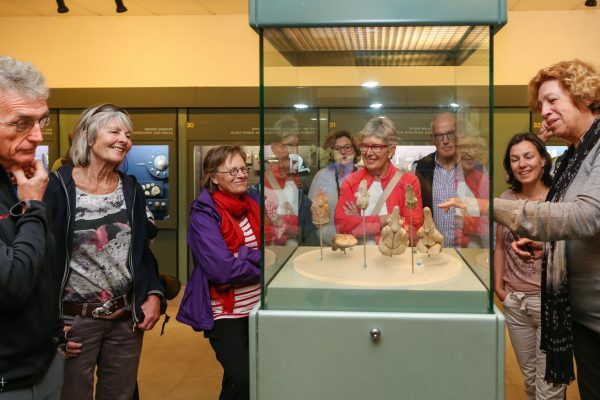 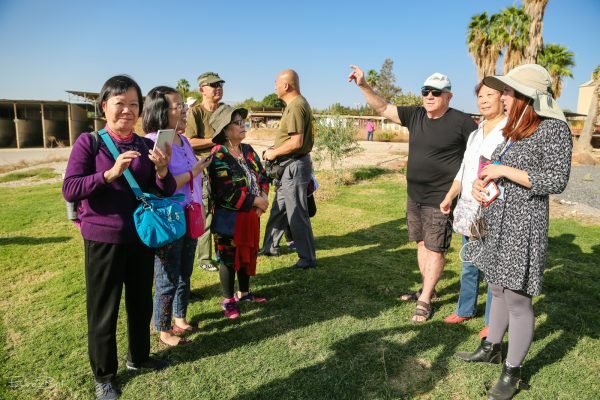 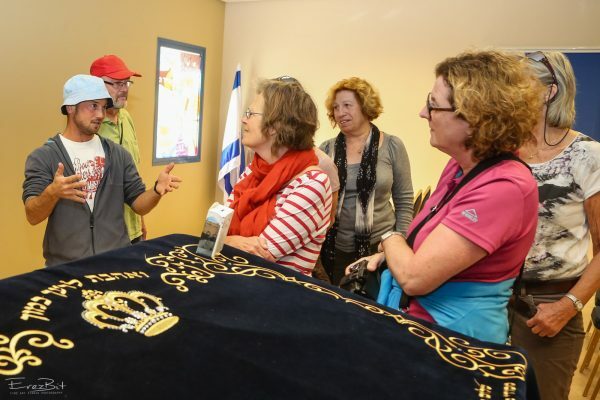 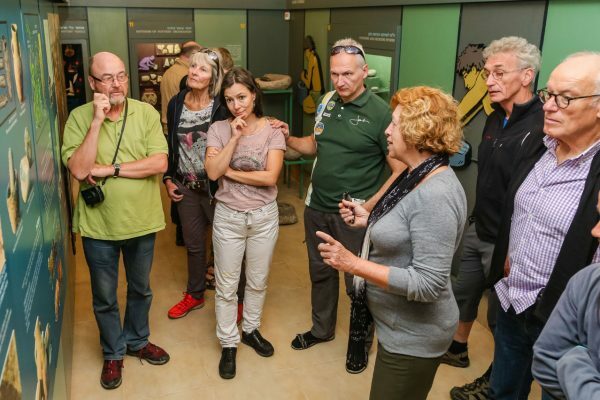 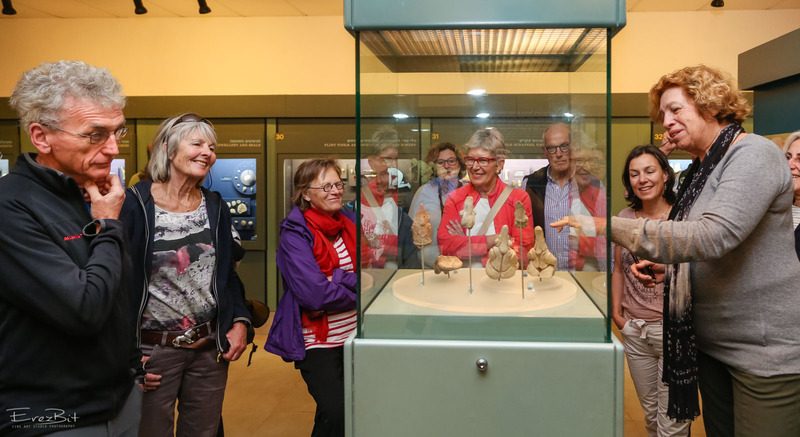 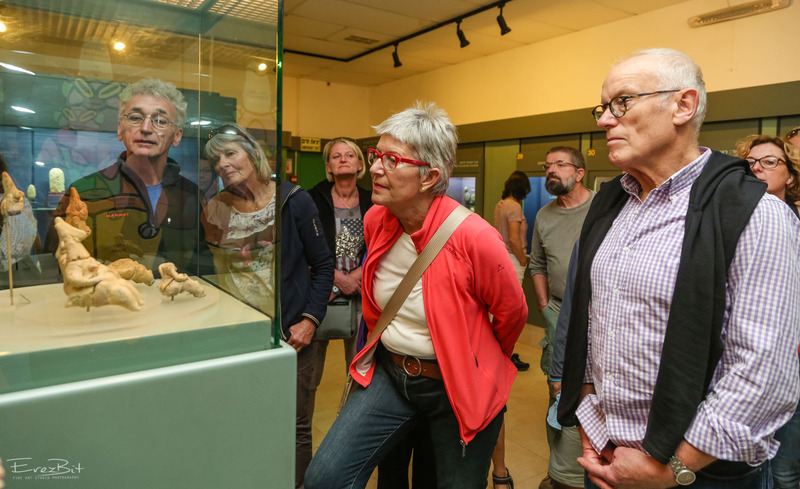 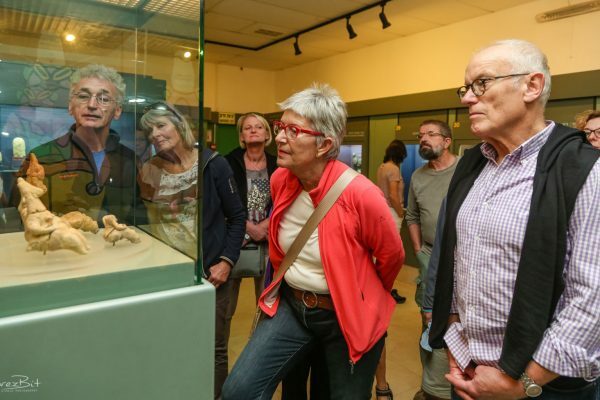 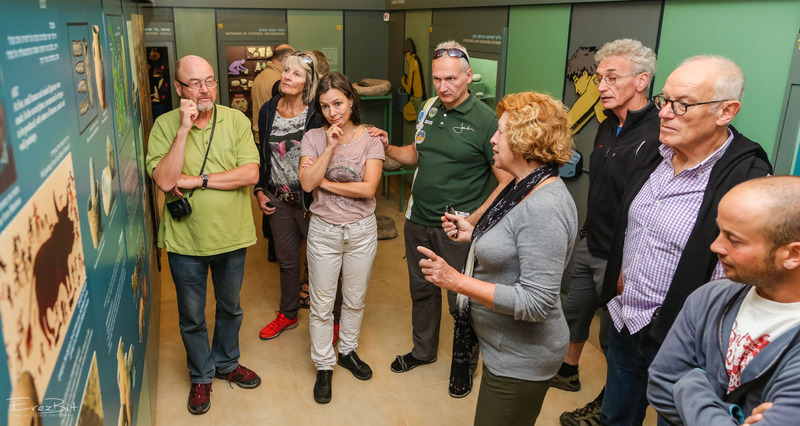 The tour concludes at the museum’s balcony, providing a magnificent view of our neighbors – to the east you can see the Kingdom of Jordan, and to the north – the Golan Heights and Syria. 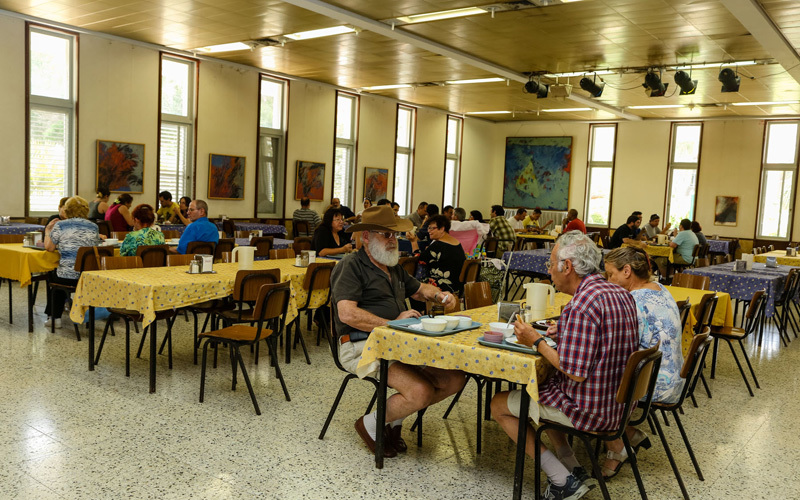 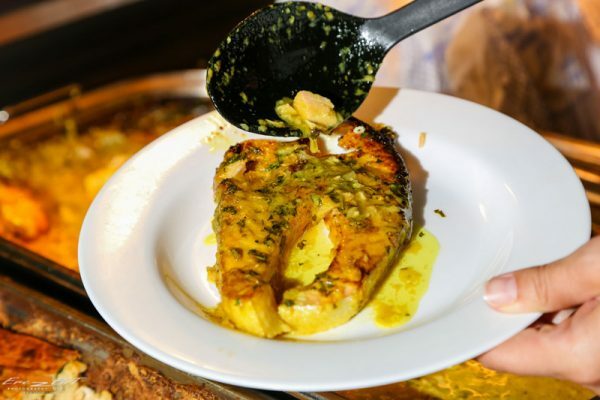 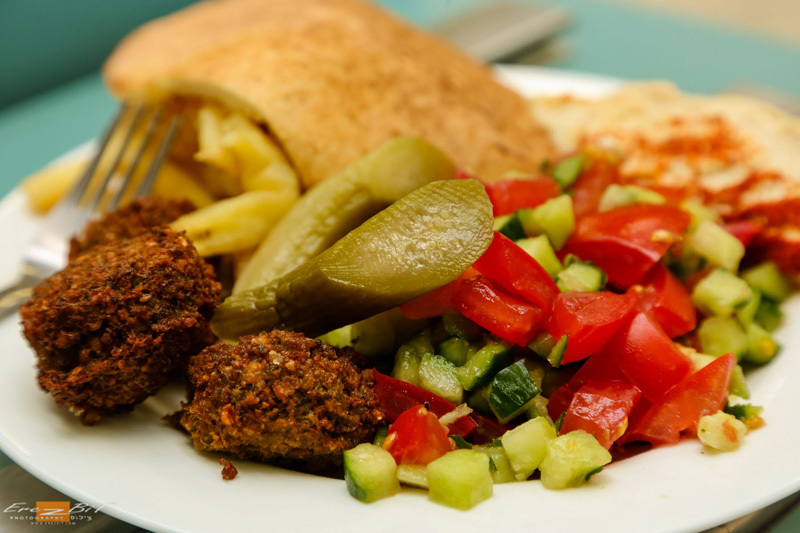 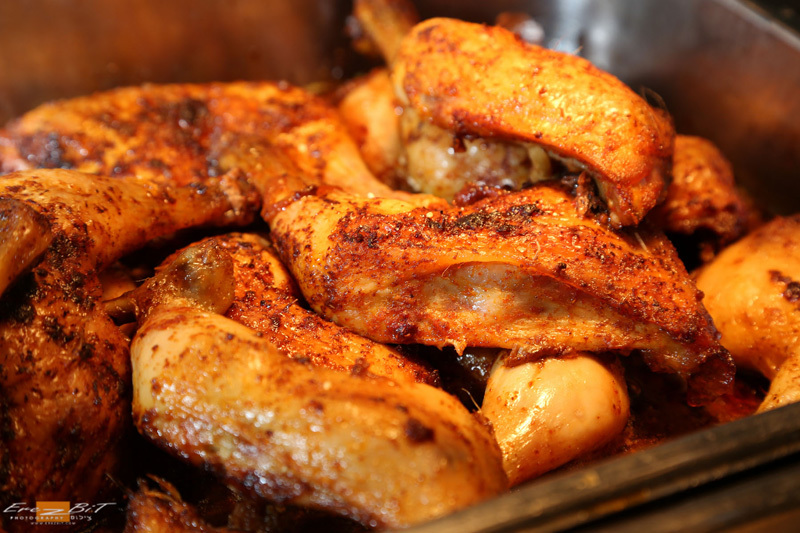 We provide breakfast or lunch for groups touring the area – delicious, pleasant and affordable. Different tours can be combined together plus lunch.Please make pre-arrangements & reservations in advance. 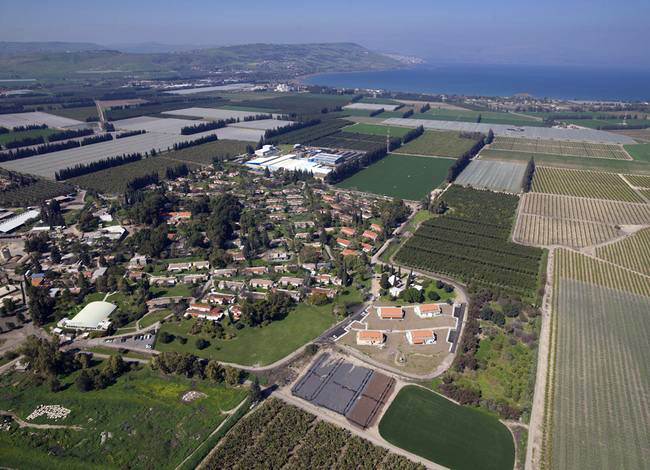 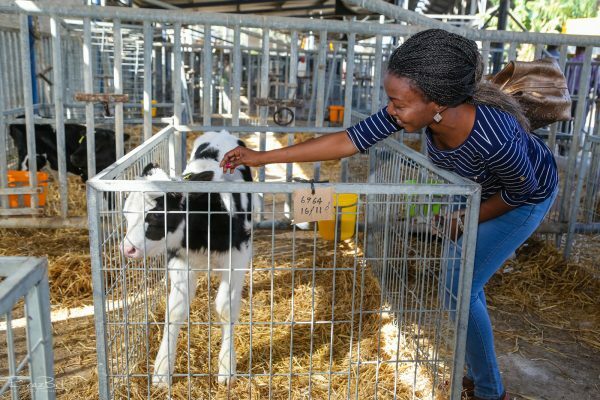 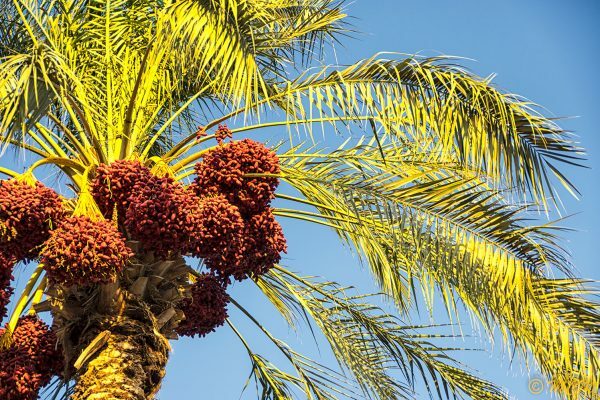 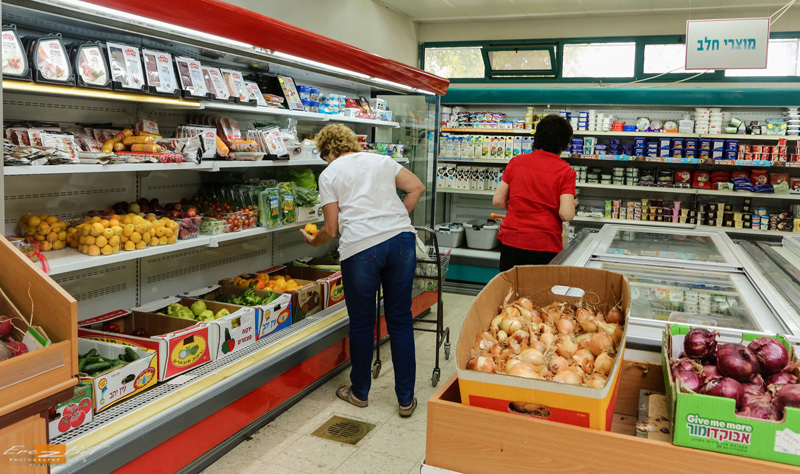 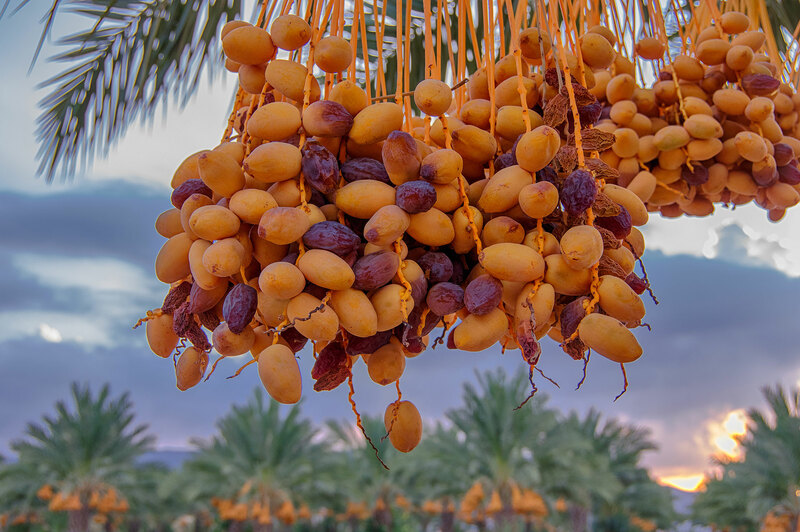 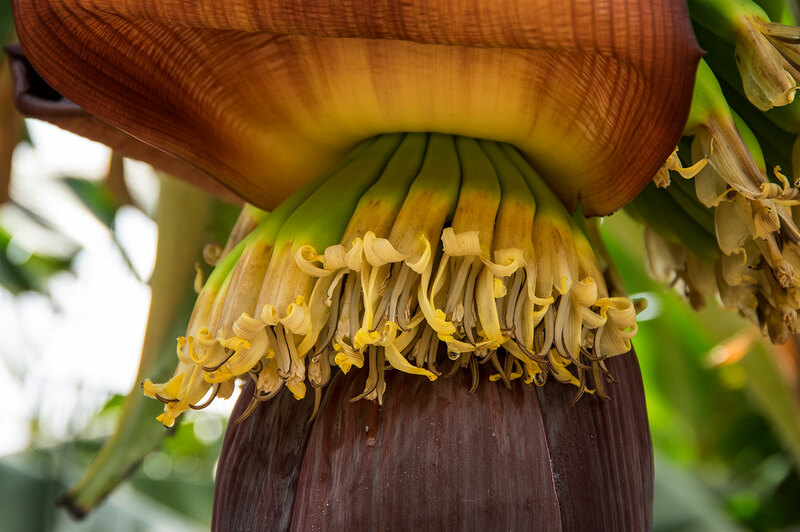 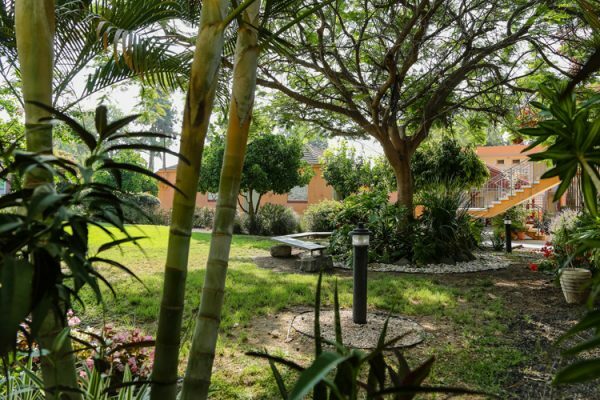 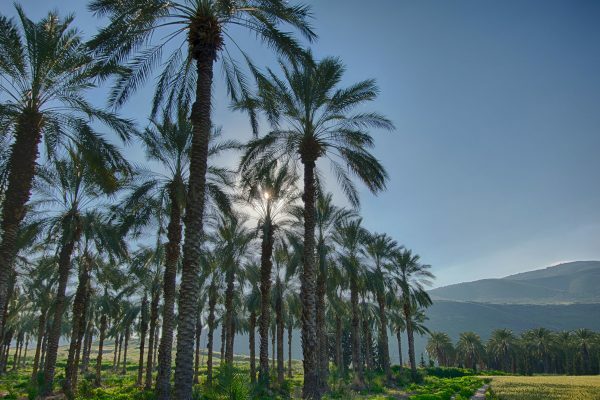 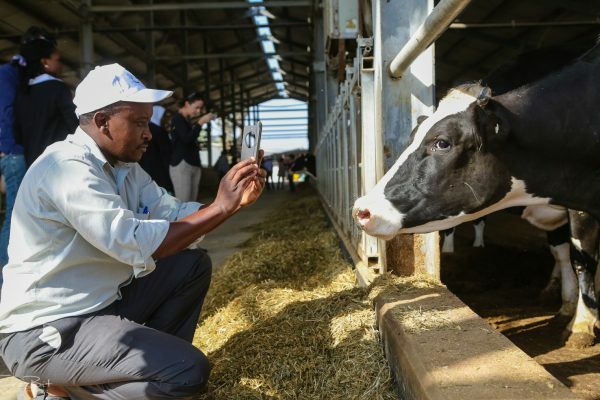 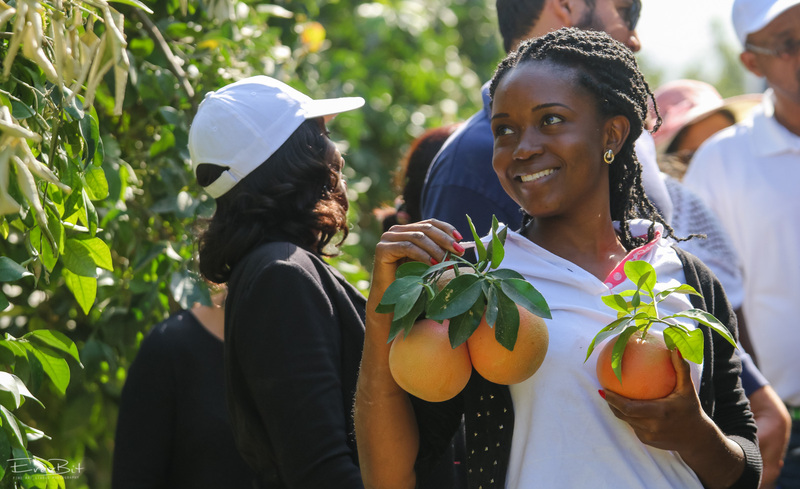 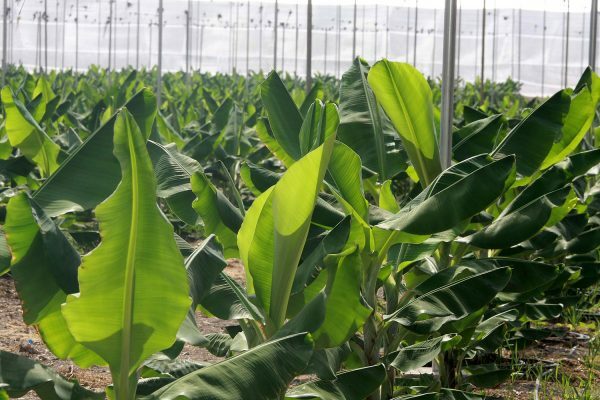 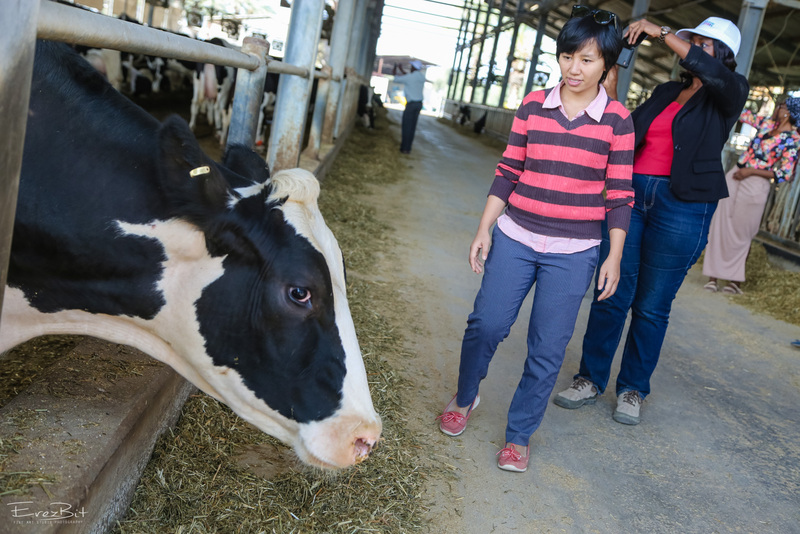 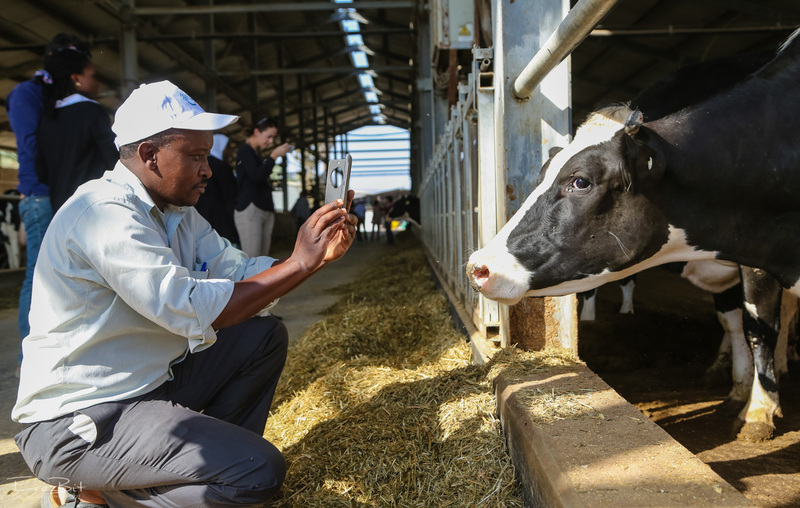 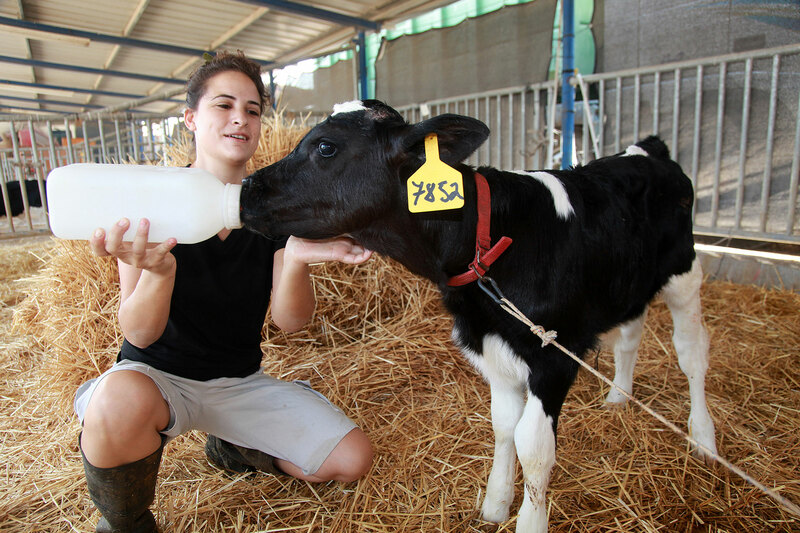 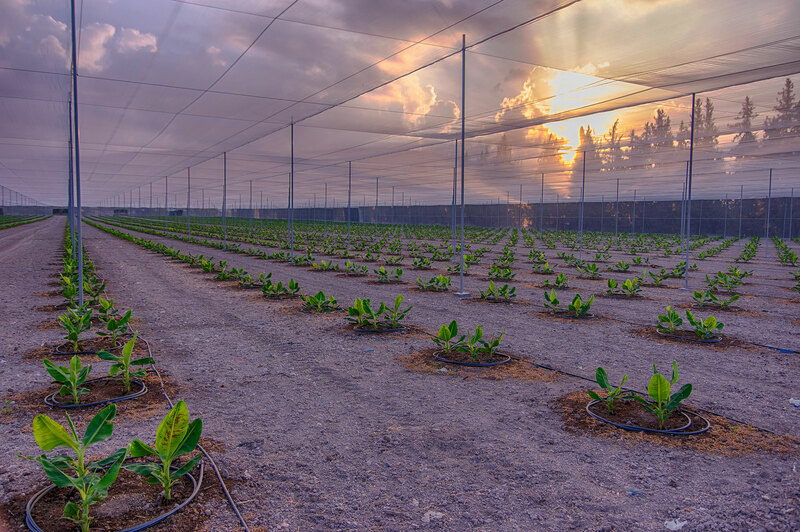 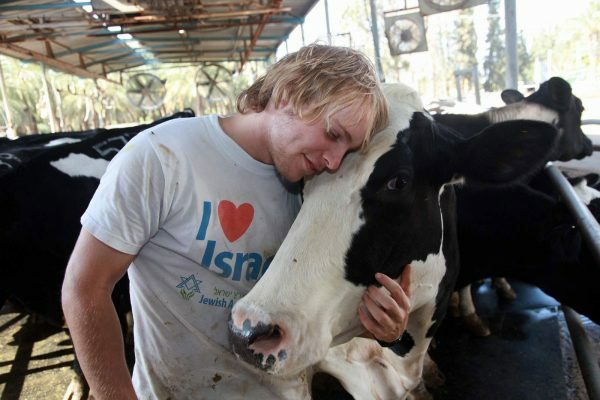 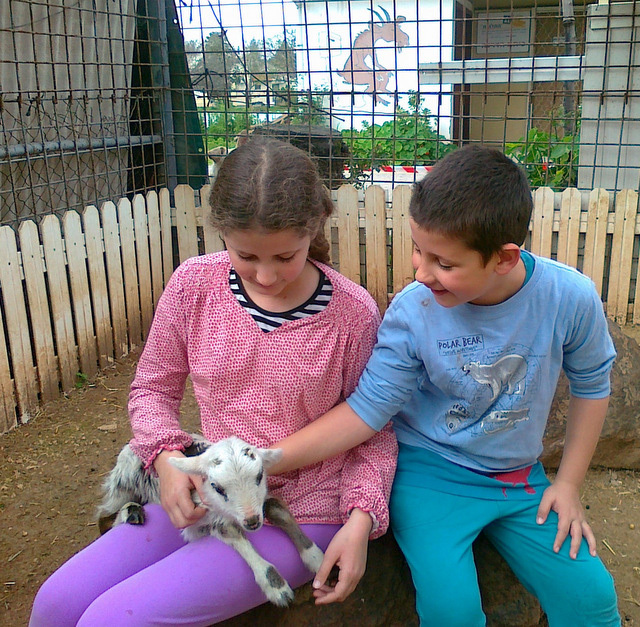 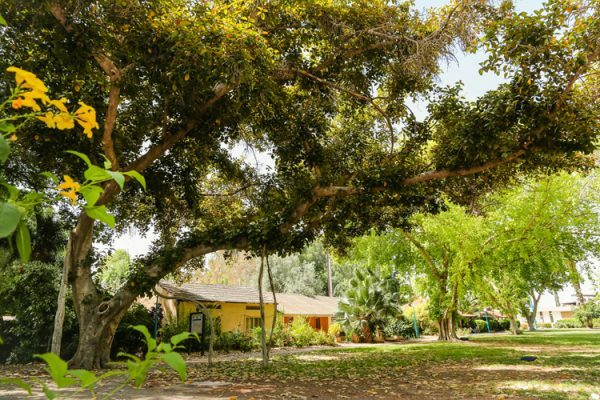 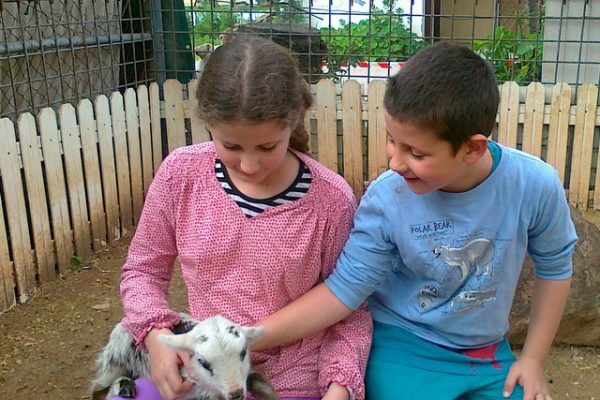 Our kibbutz is blessed with a variety of advanced, successful agricultural branches, such as: bananas, dates, avocados, almonds, poultry, dairy farming and apiary. You may also fill out the form below and we will contact you.